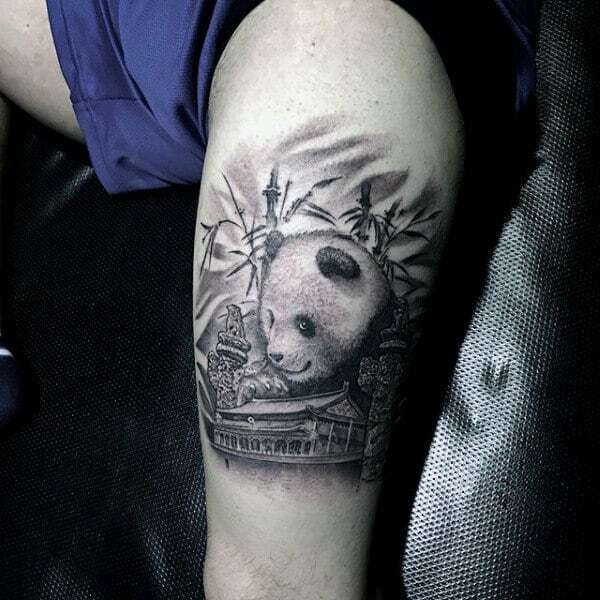 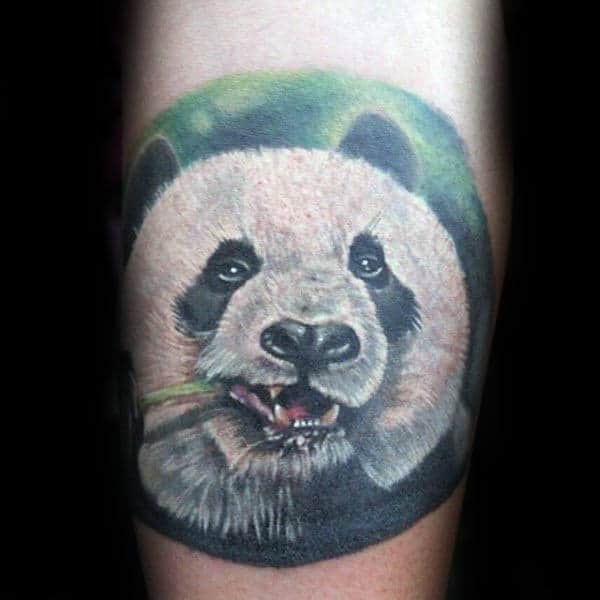 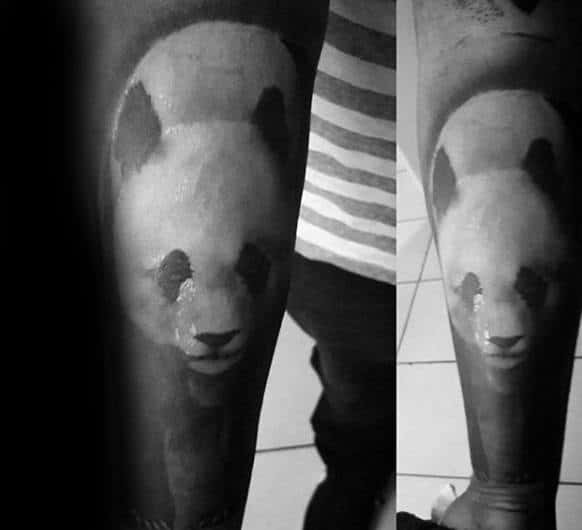 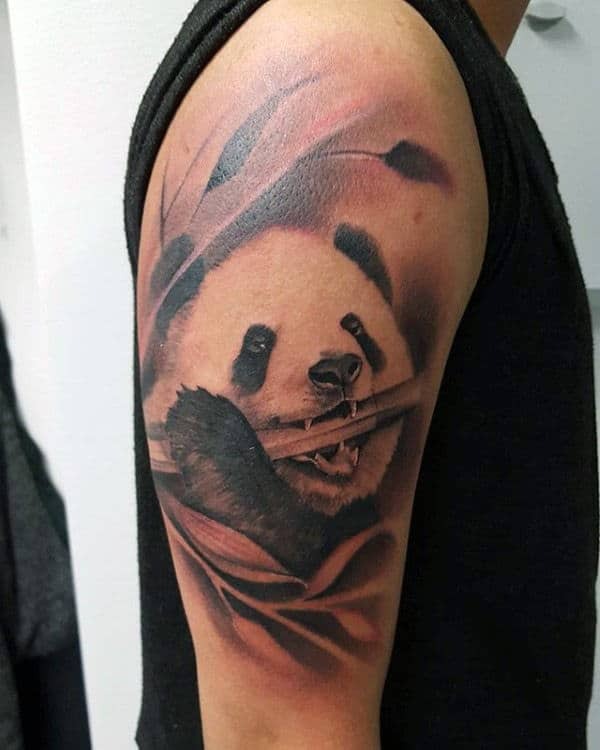 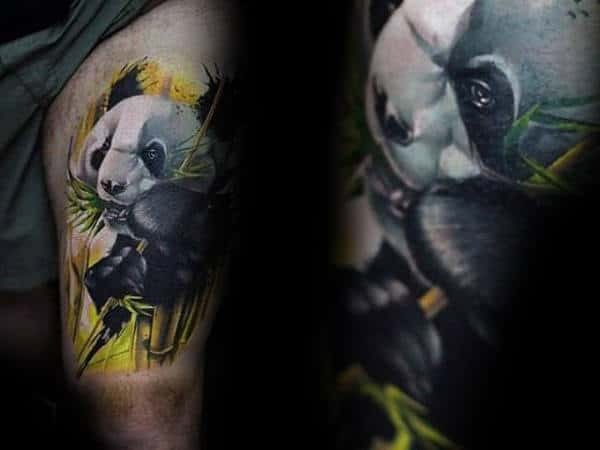 Nothing comes close to defeating the powerful panache of a panda tattoo. 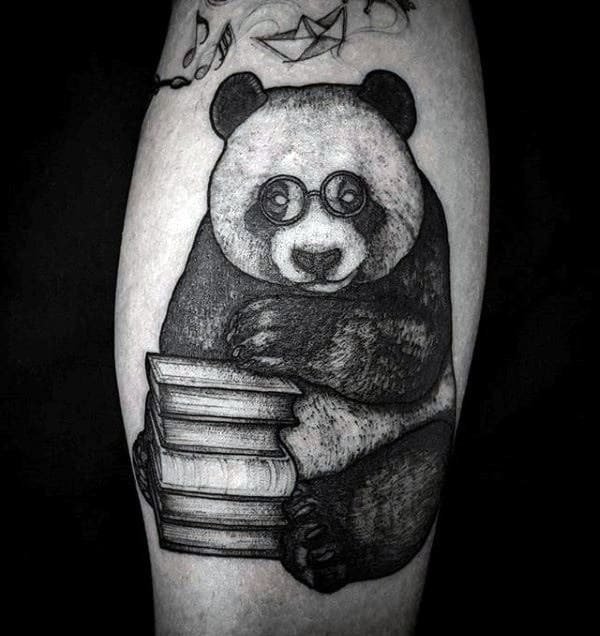 Eastern sensibilities are chivalrously enhanced by brandishing one of these emboldening bears. 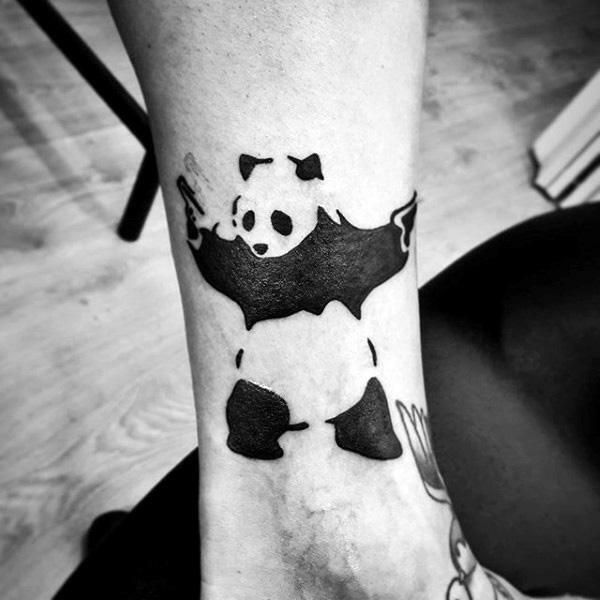 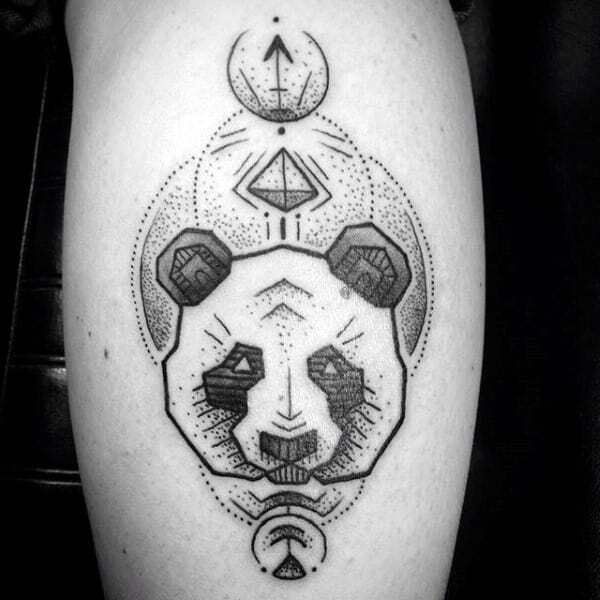 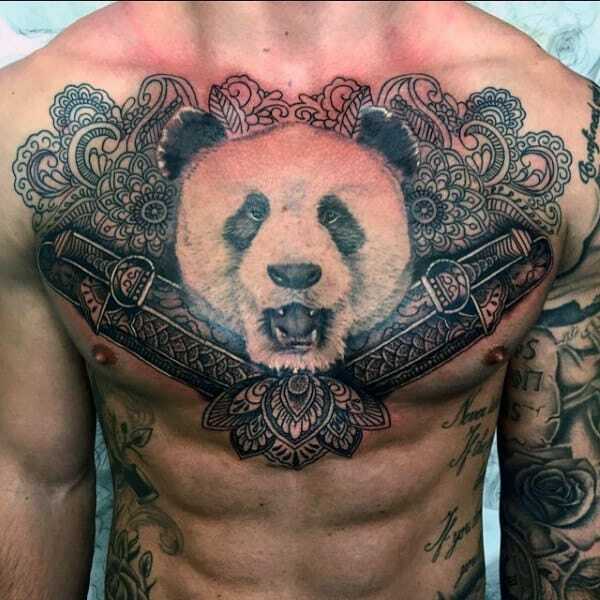 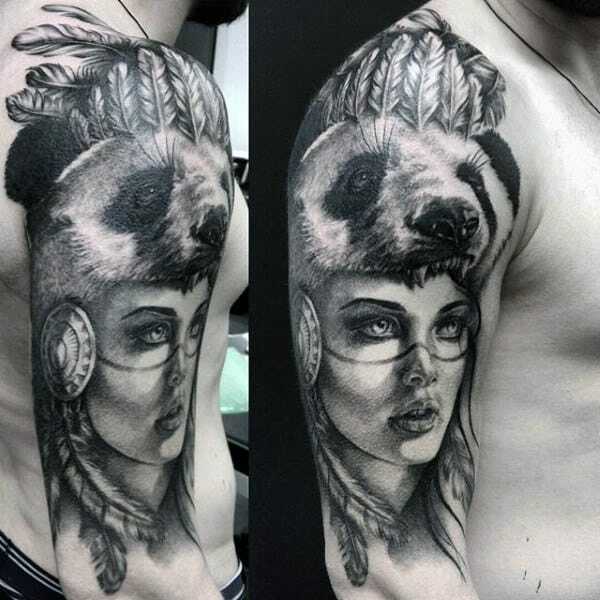 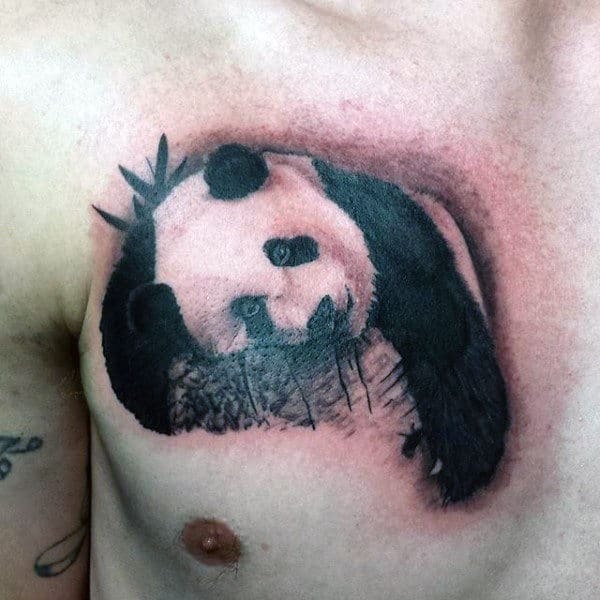 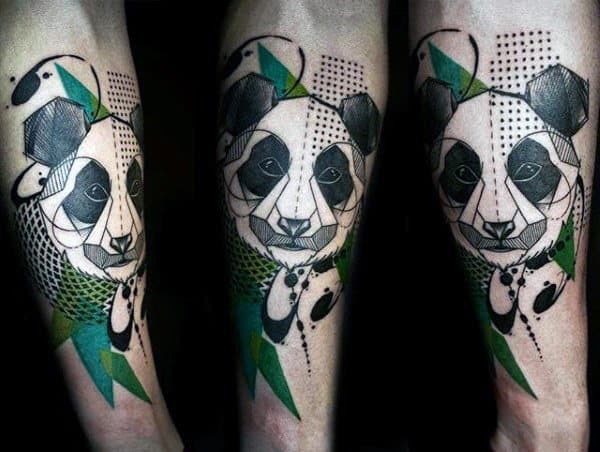 Pump up your daring panache with the surprisingly rich allure of panda tattoos. 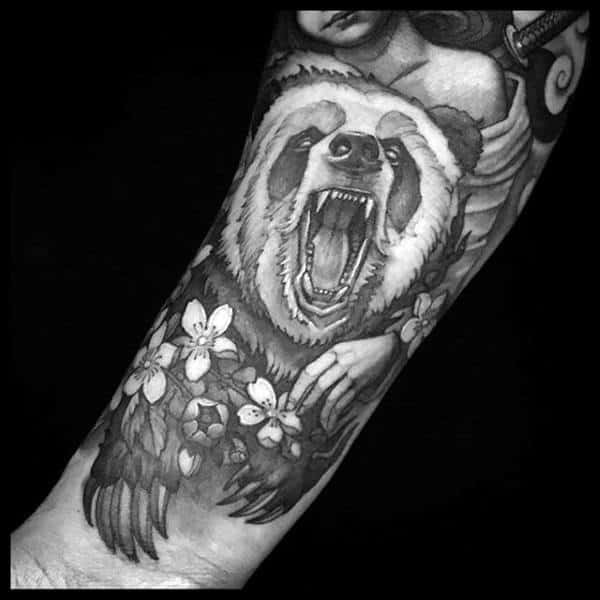 These badass bears are the embodiment of peaceful attitudes that somehow manage to coexist alongside furiously dangerous undercurrents. 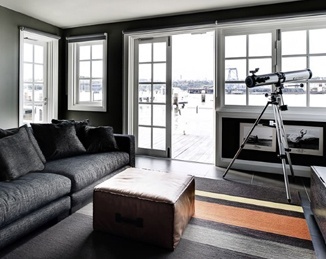 Their unquestionable might is tamed by a desire to pursue relaxation at all costs. 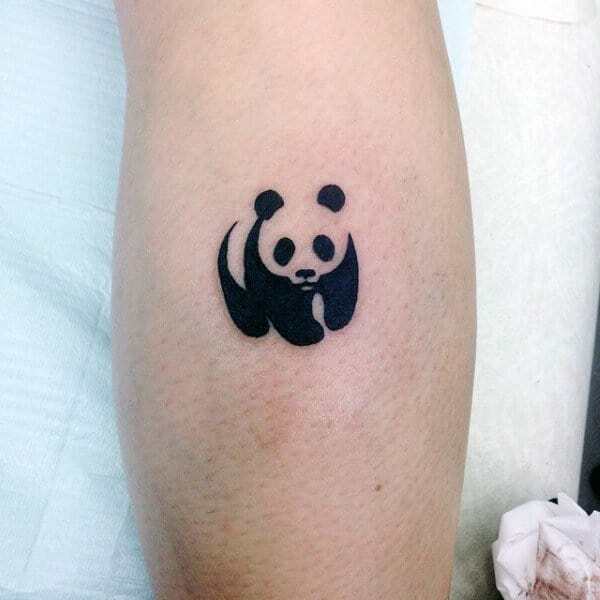 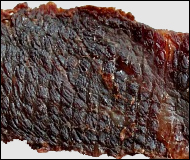 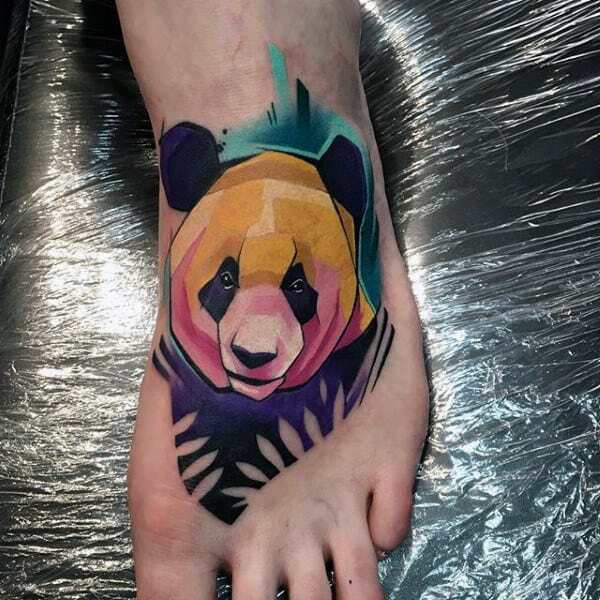 Vegetarians often explore panda ink as a way to show that eating meat is unnecessary, particularly since this is the only bear that lives as an herbivore. 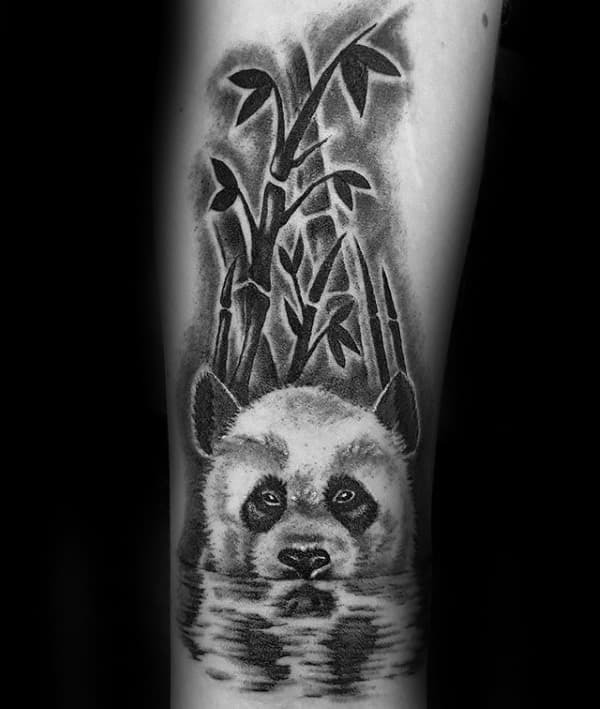 Its diet mainly consists of bamboo, so the tranquil oriental shoots are commonly included in the overall design scheme. 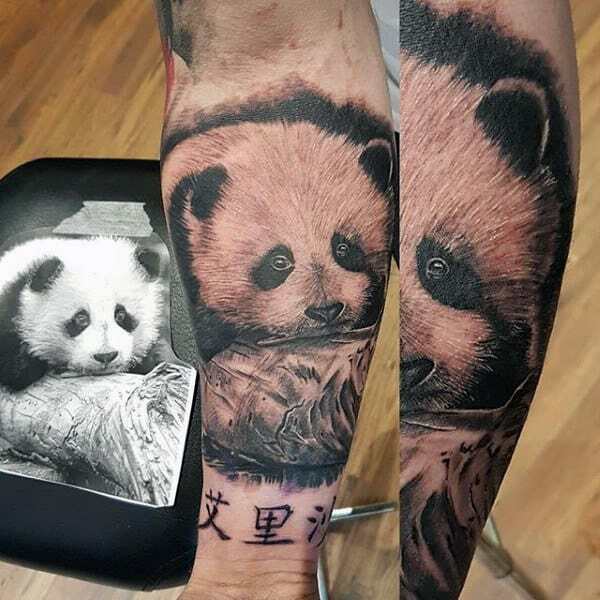 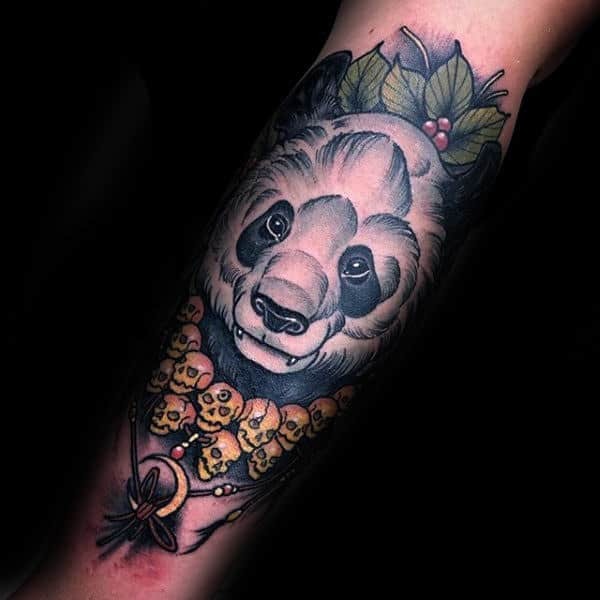 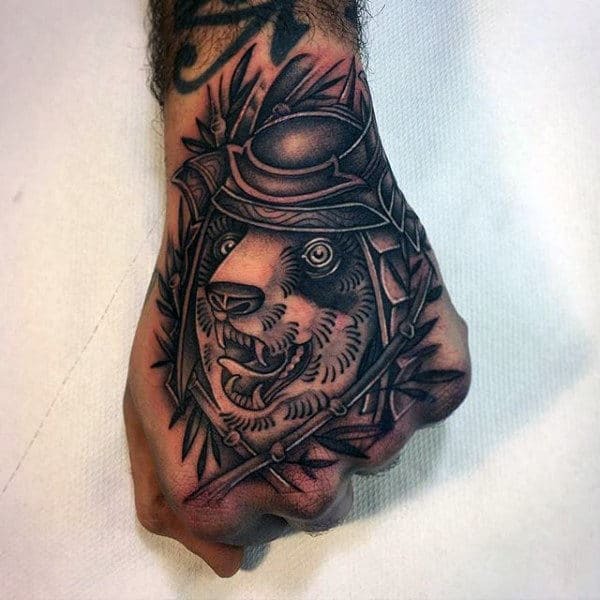 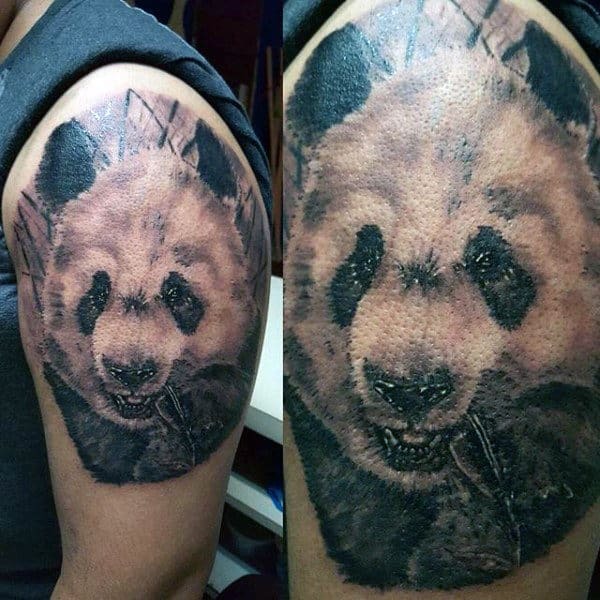 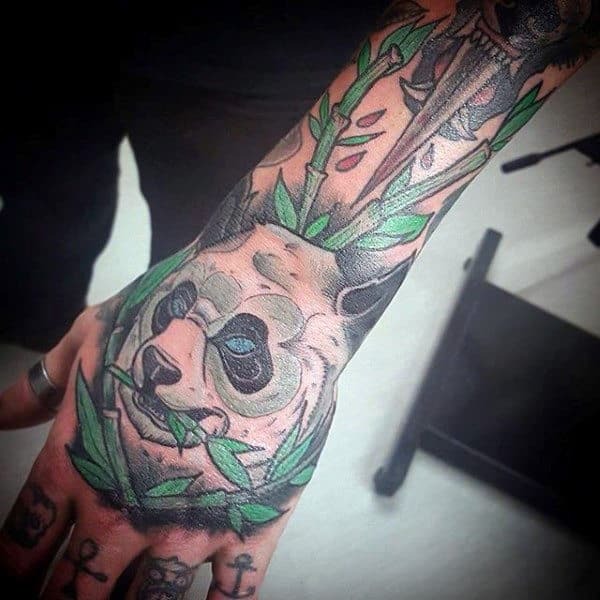 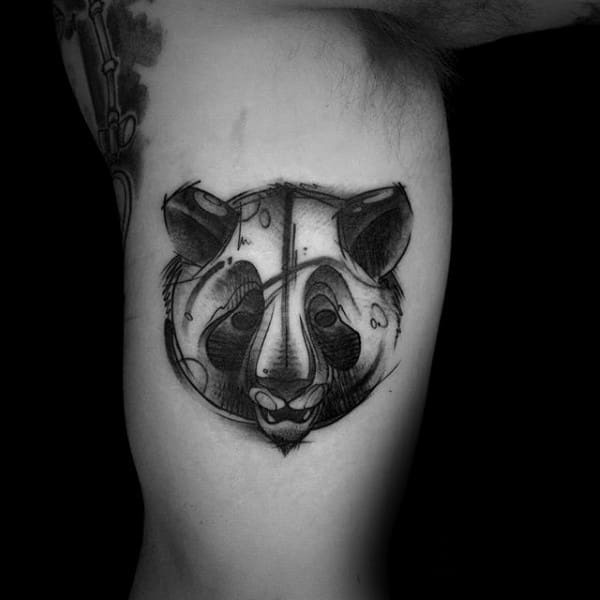 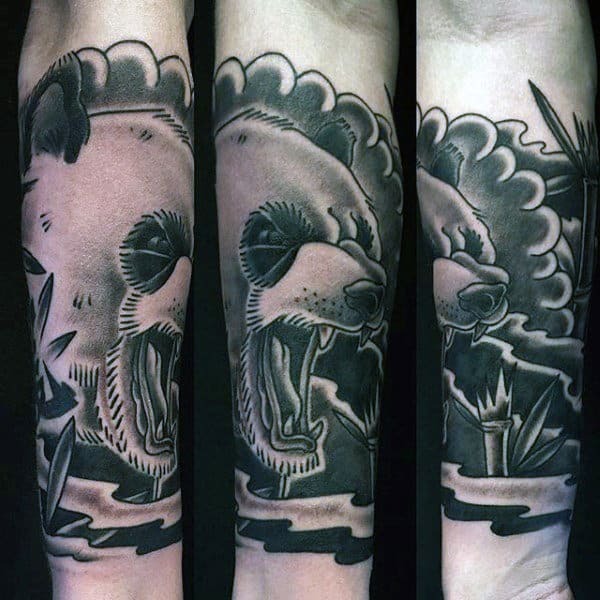 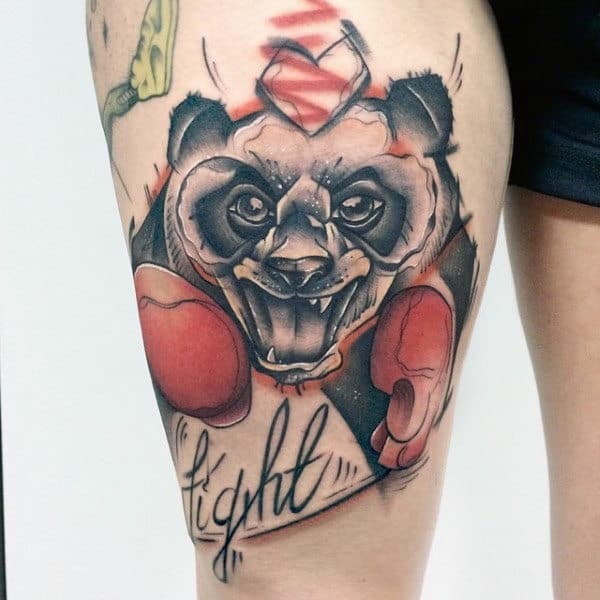 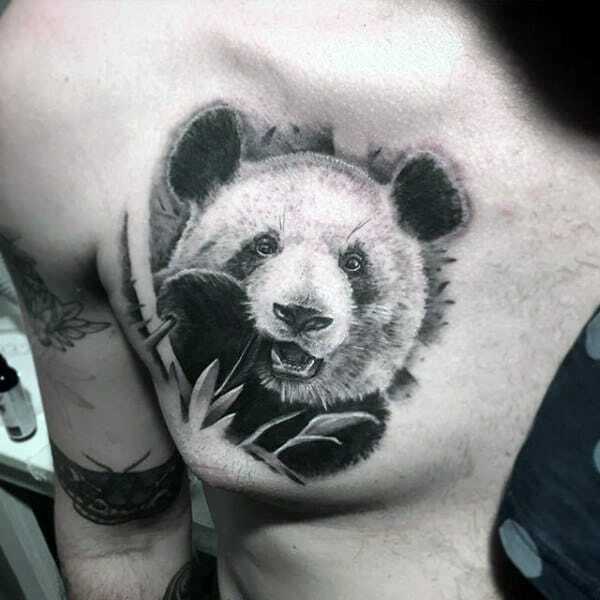 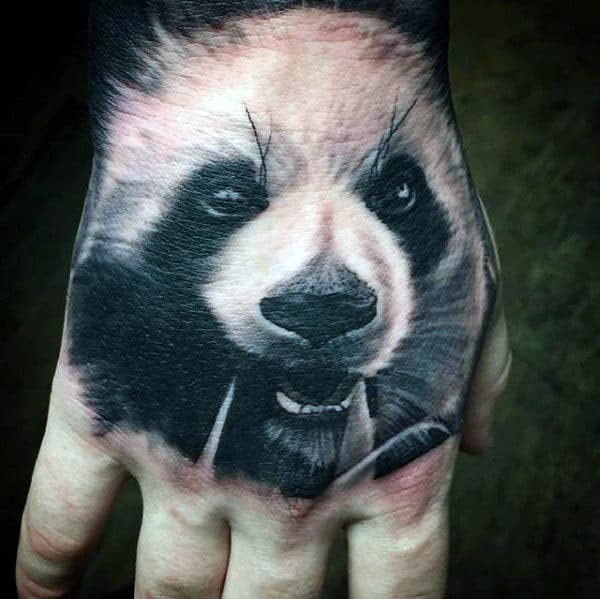 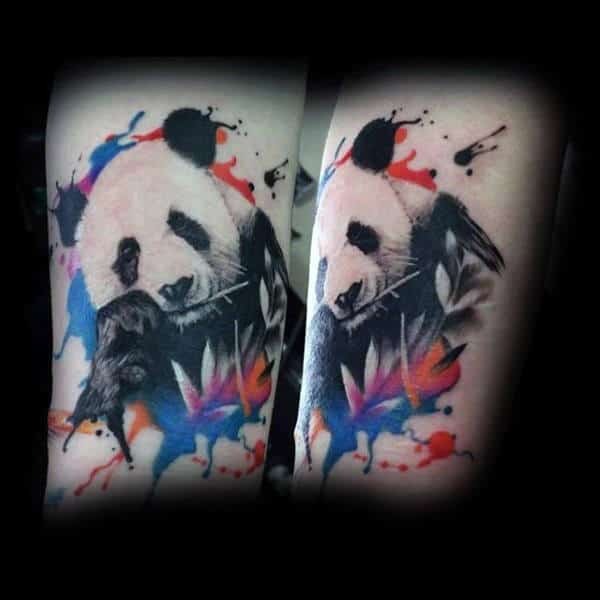 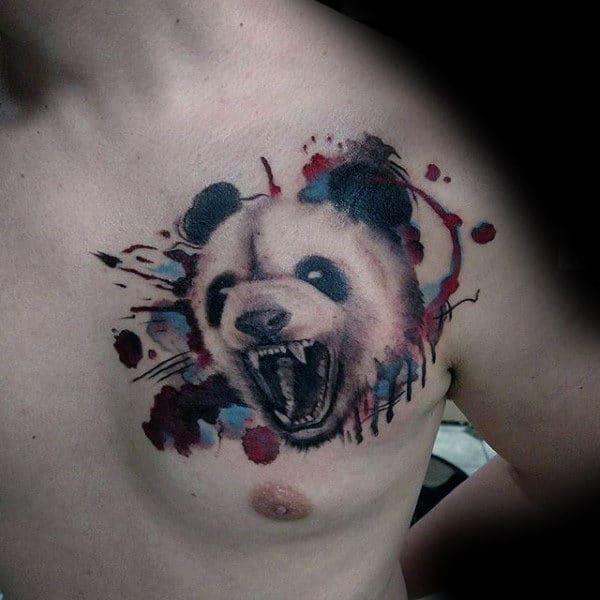 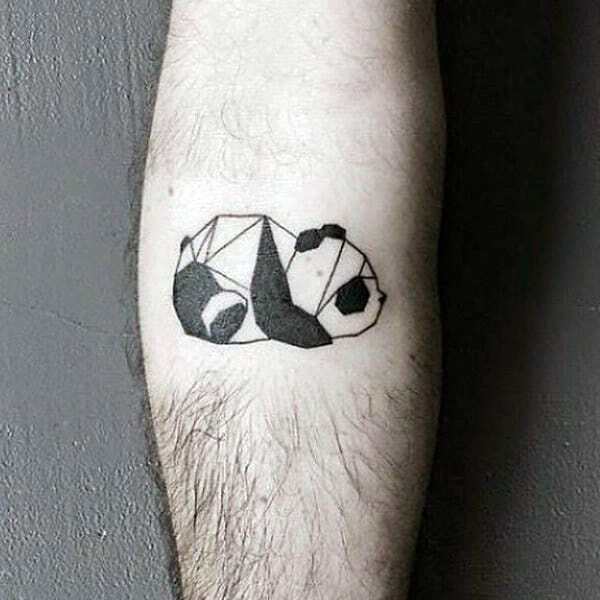 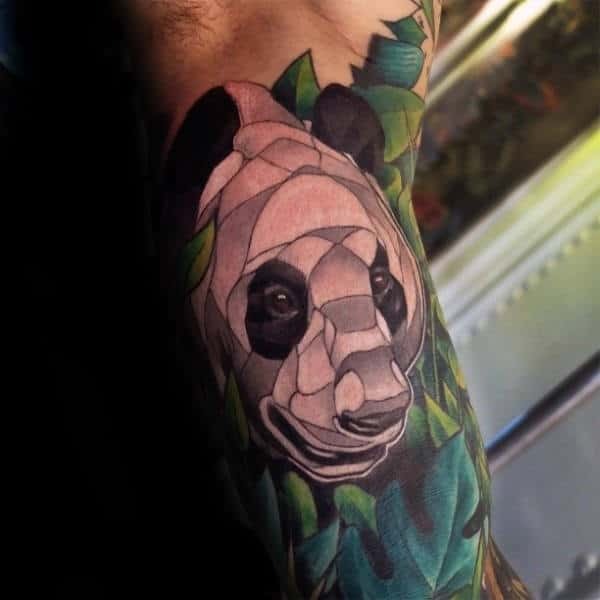 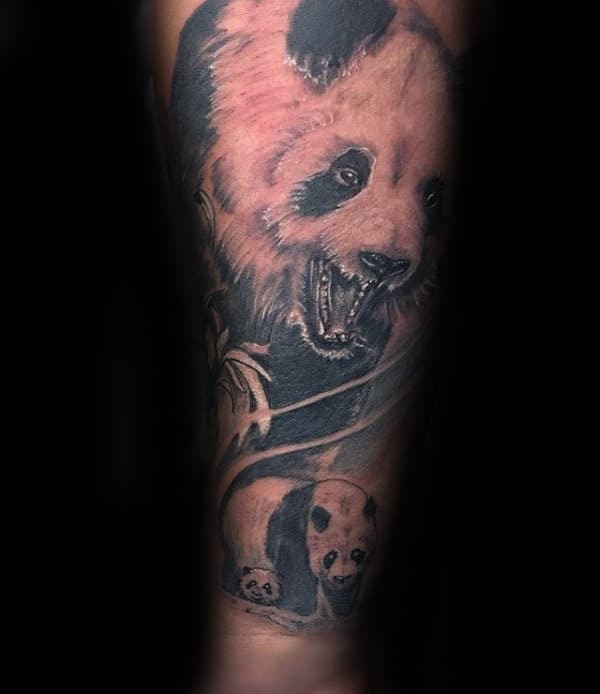 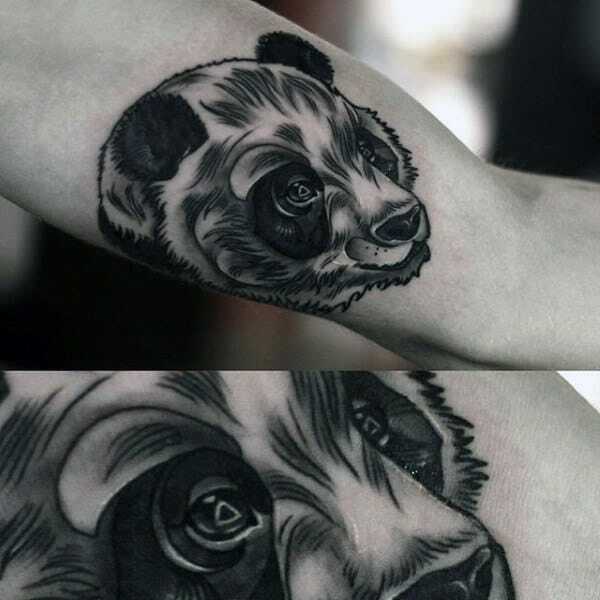 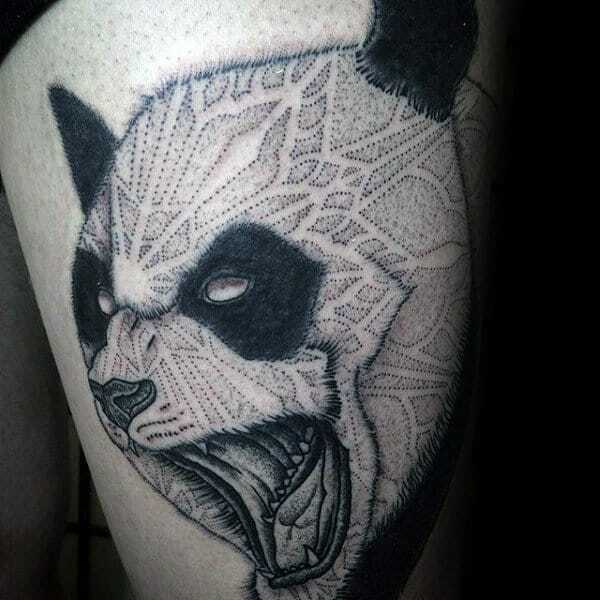 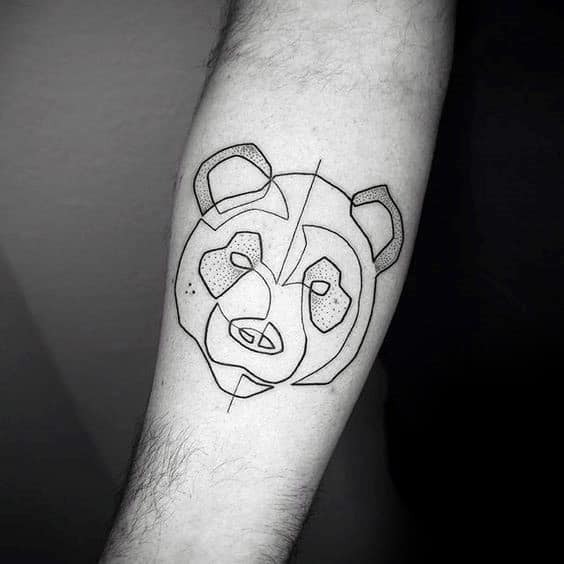 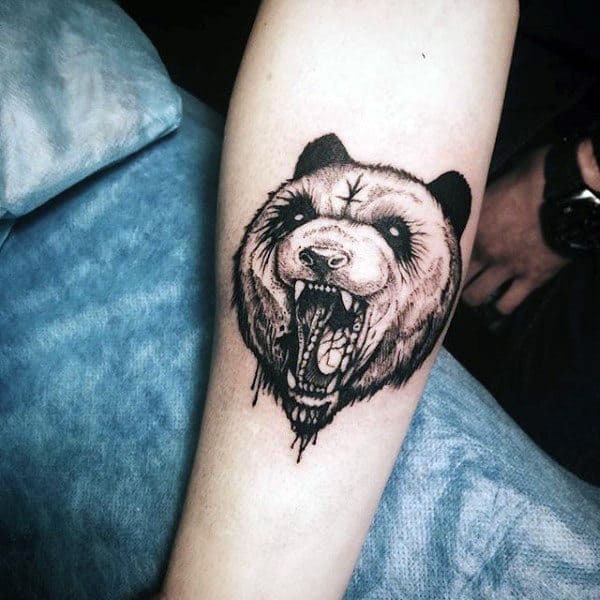 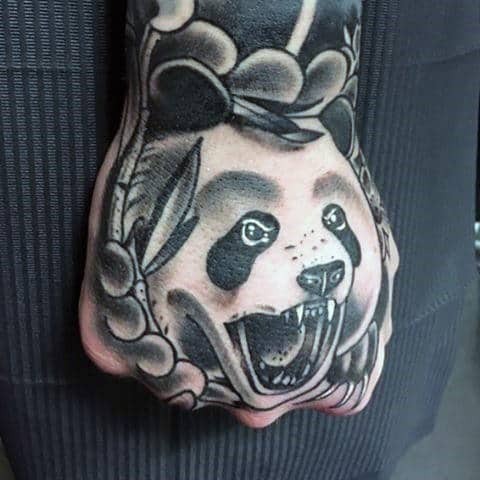 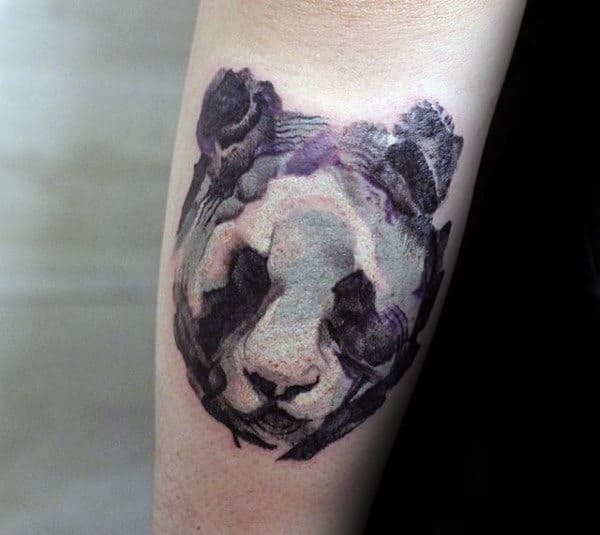 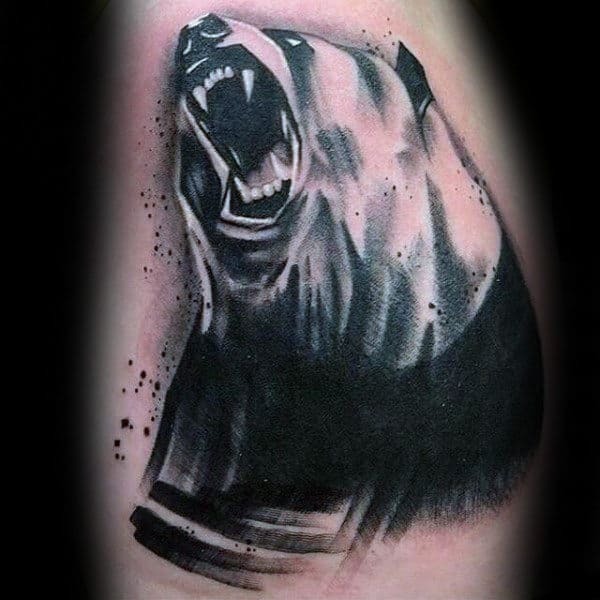 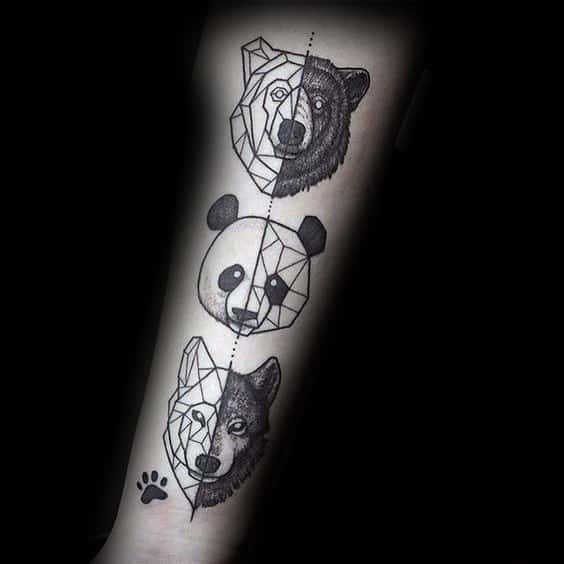 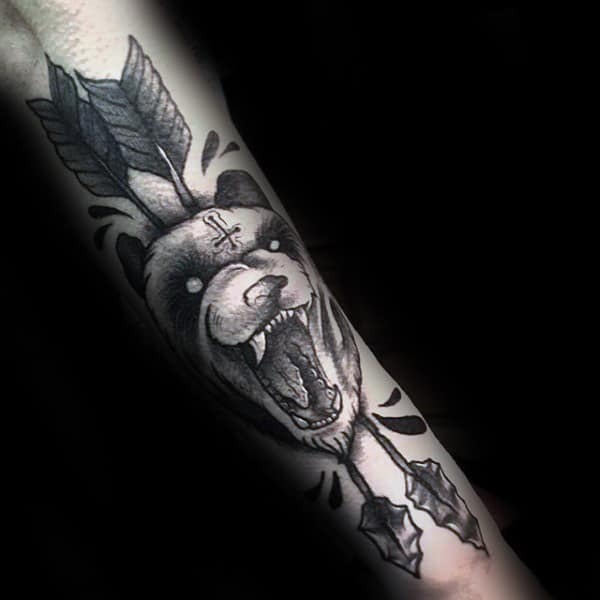 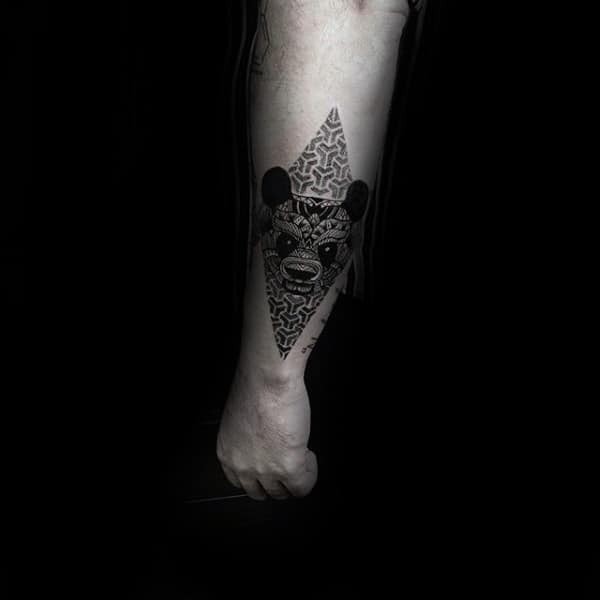 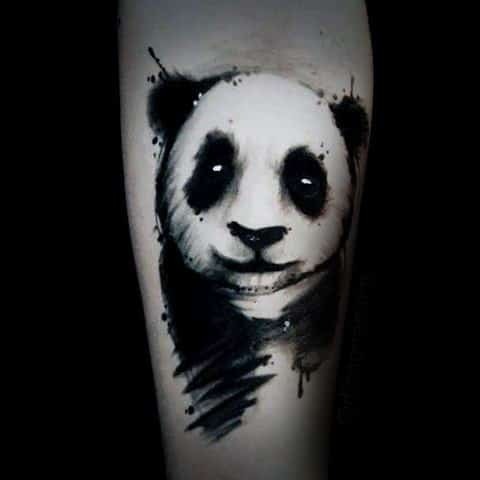 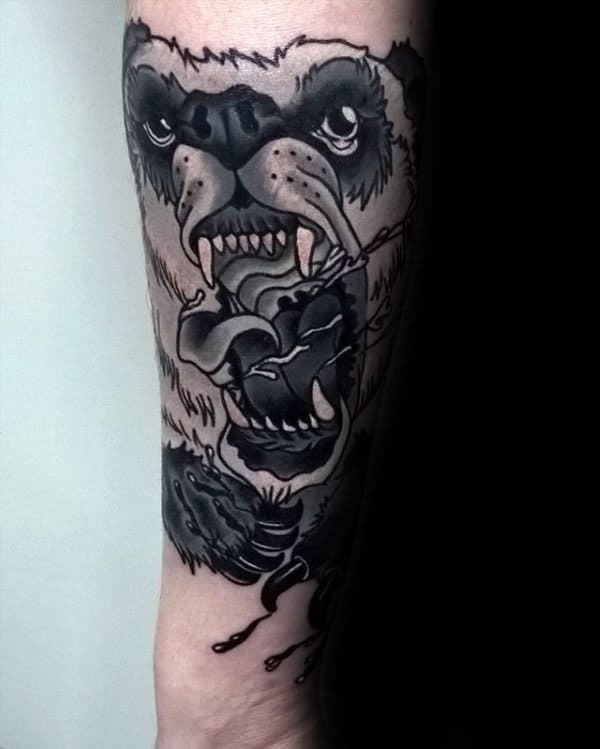 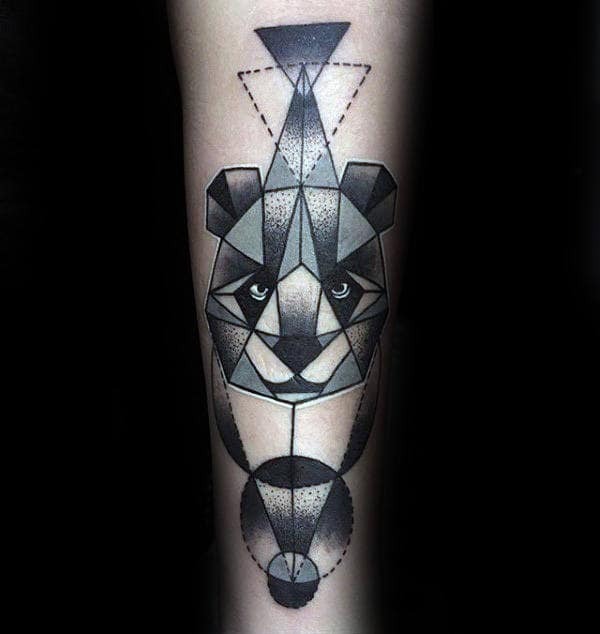 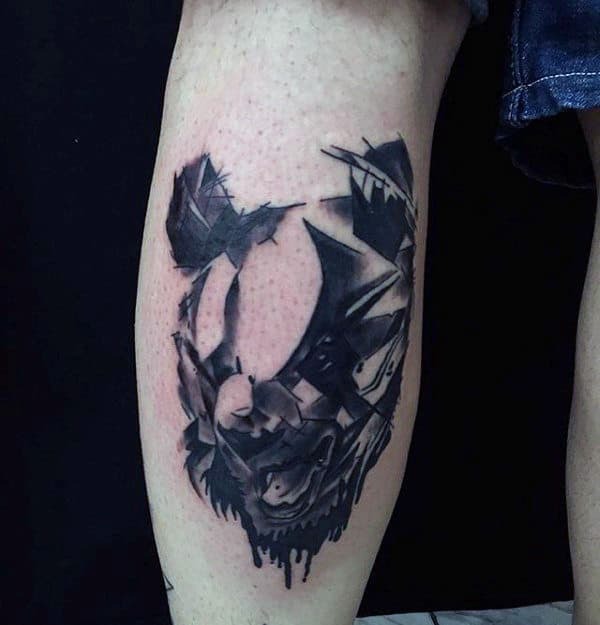 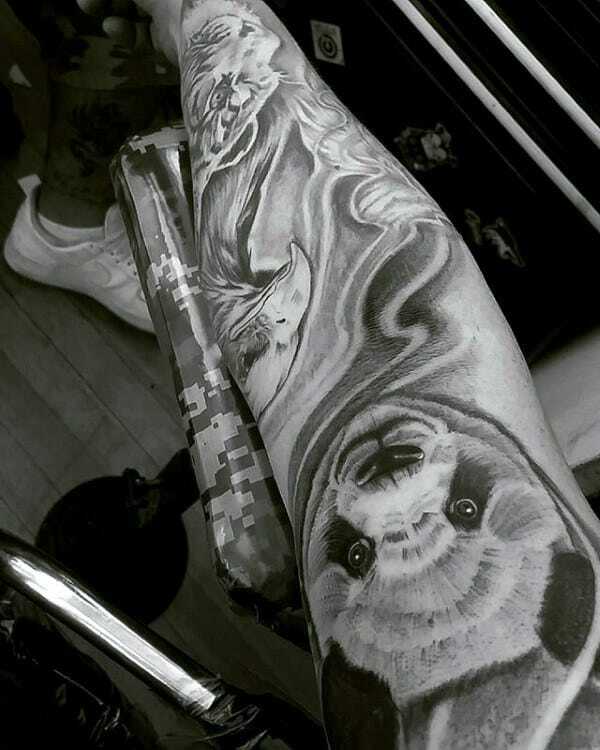 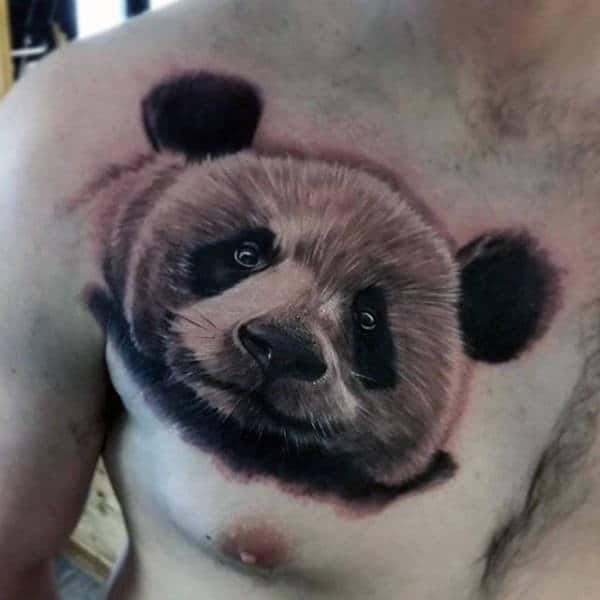 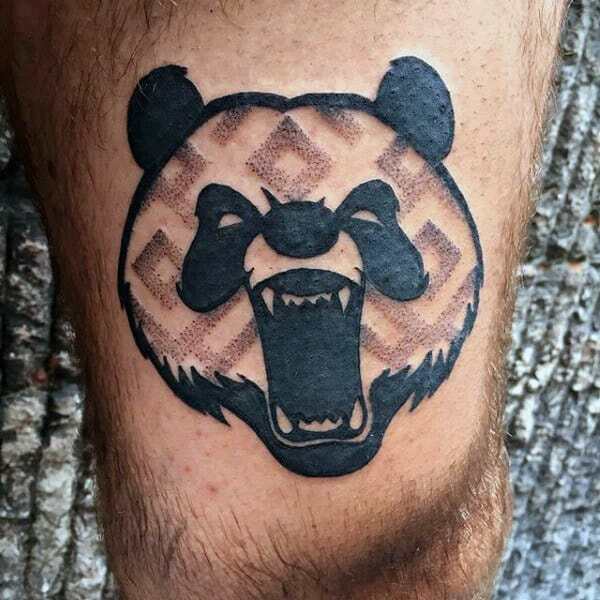 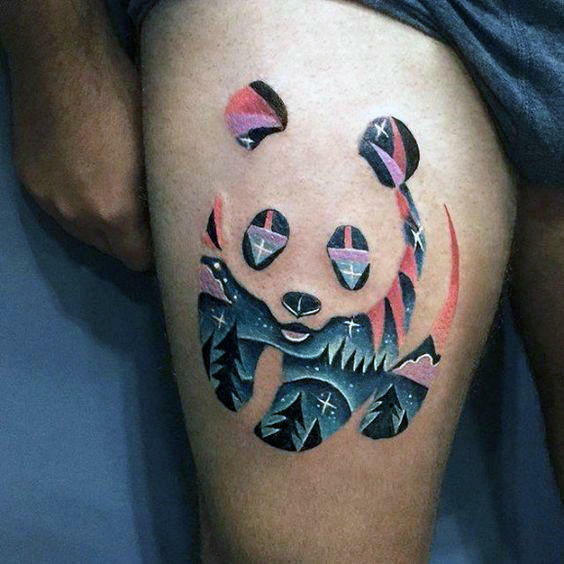 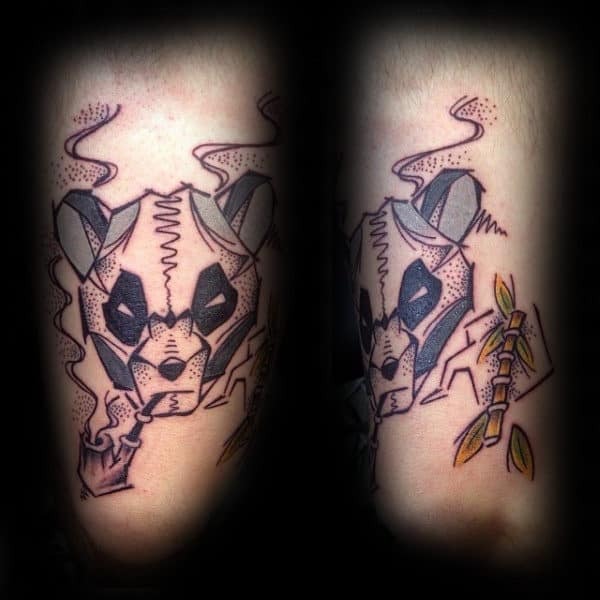 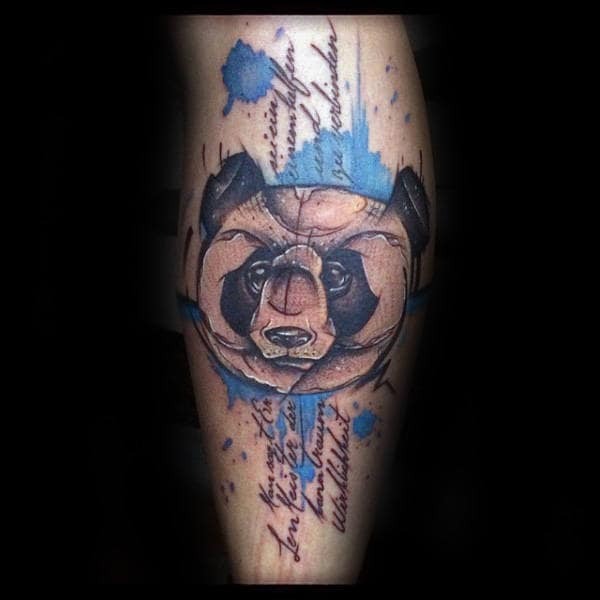 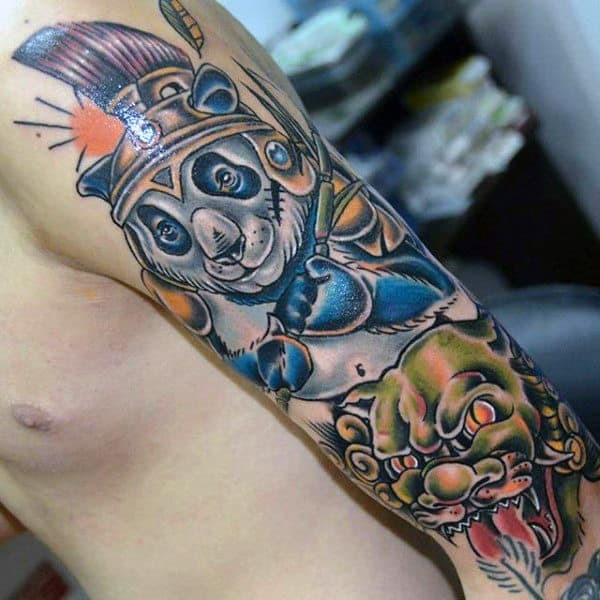 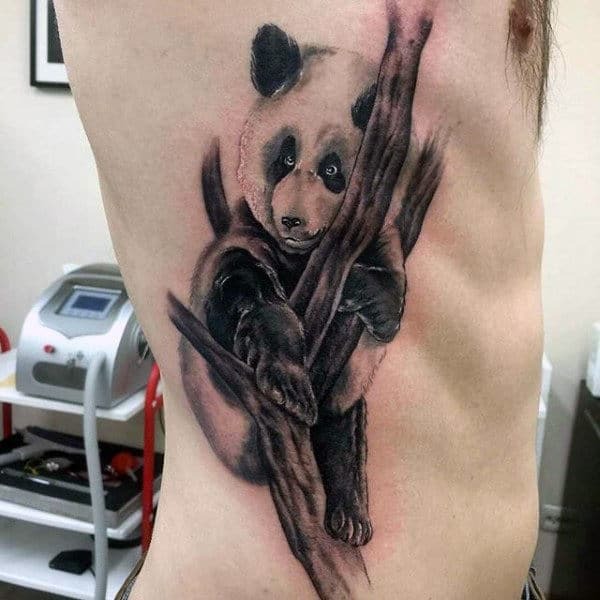 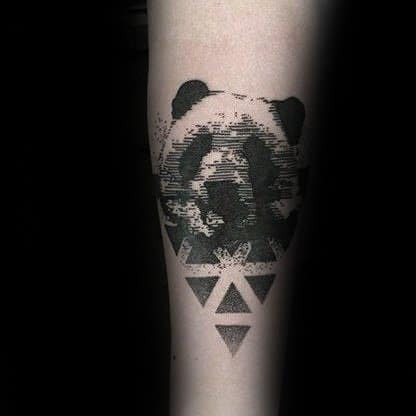 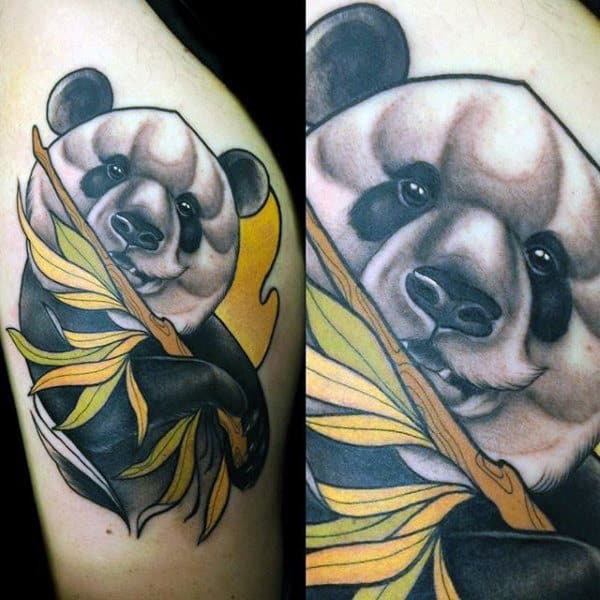 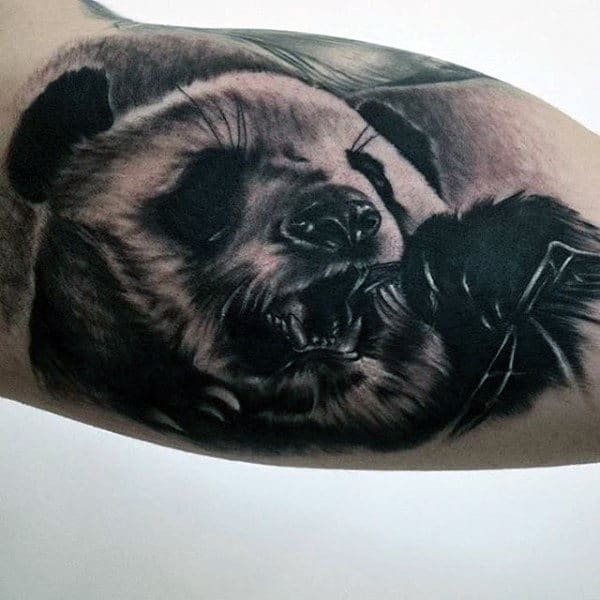 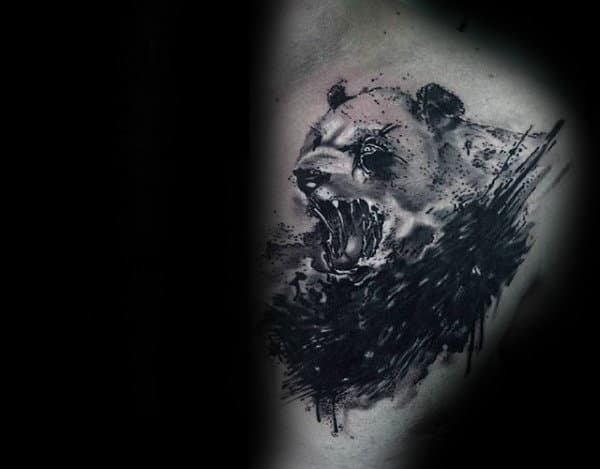 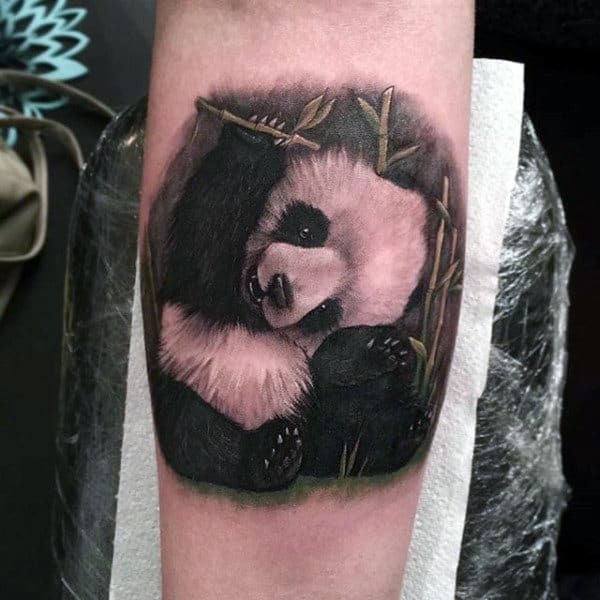 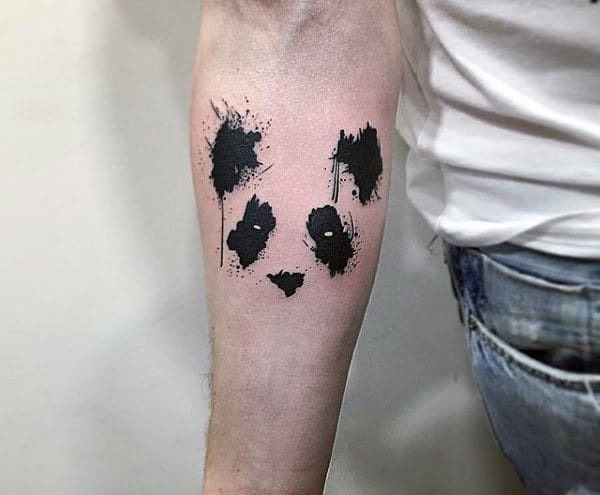 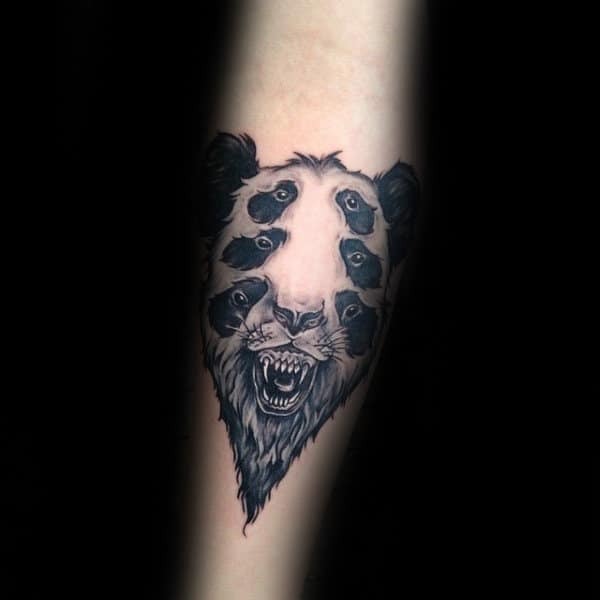 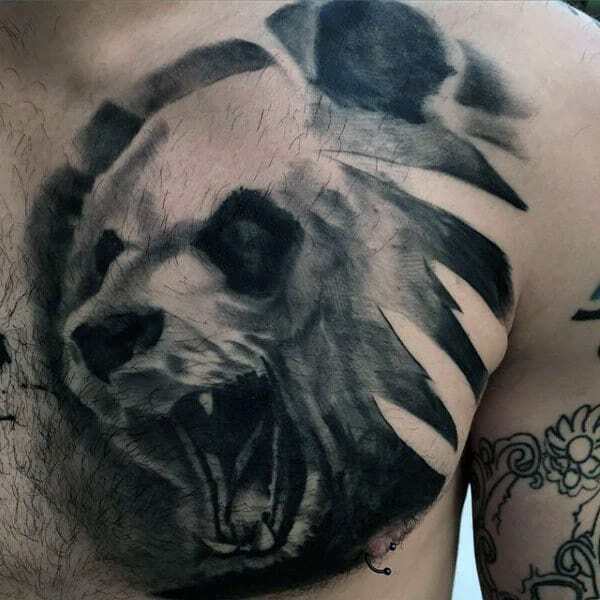 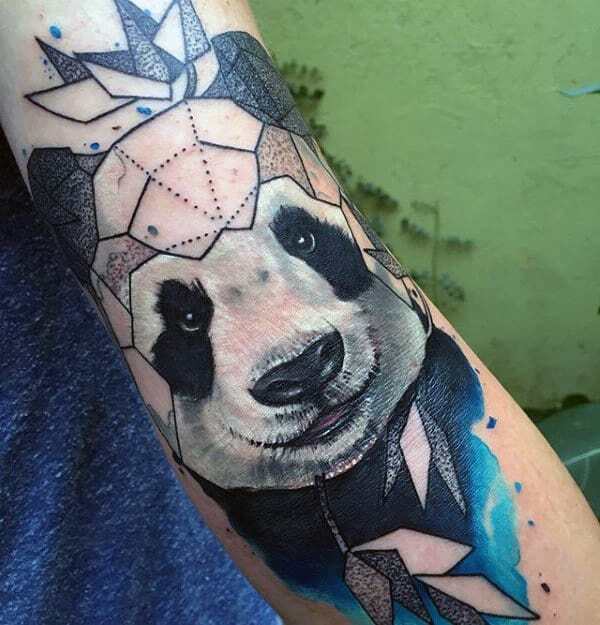 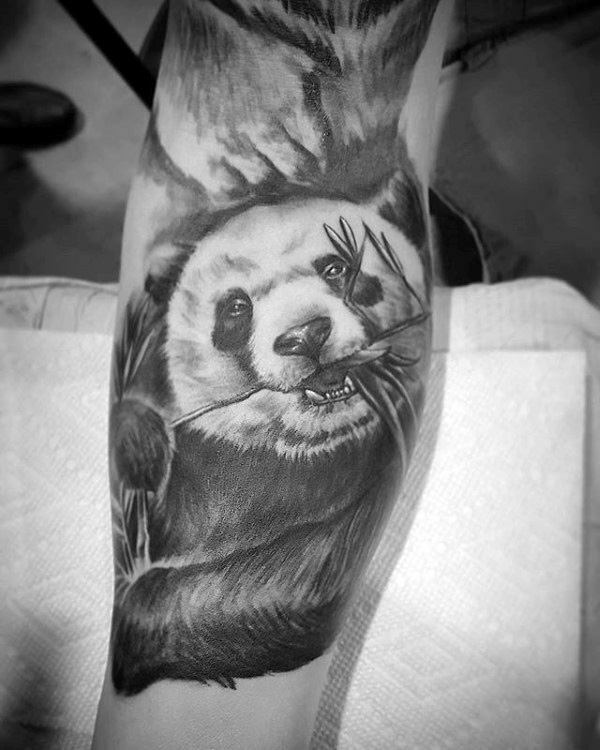 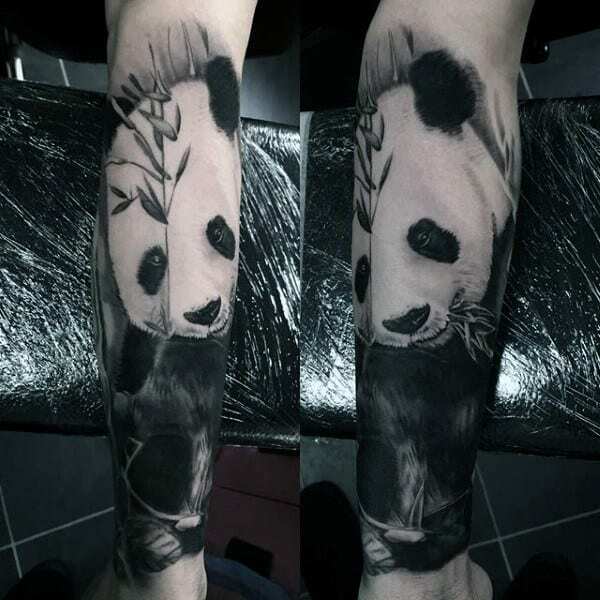 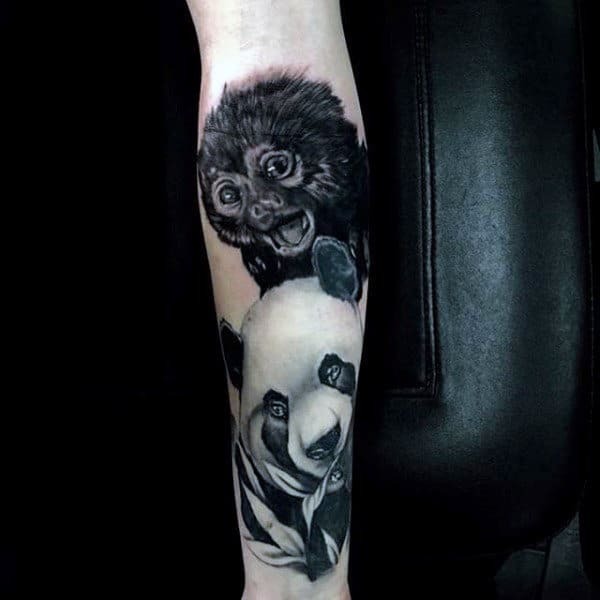 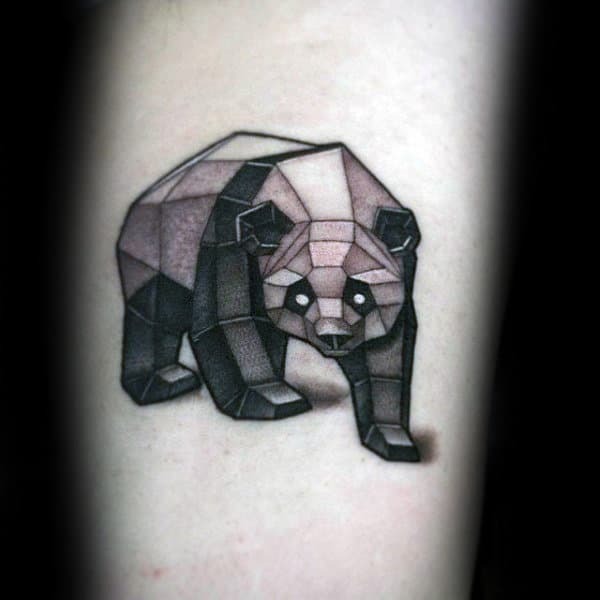 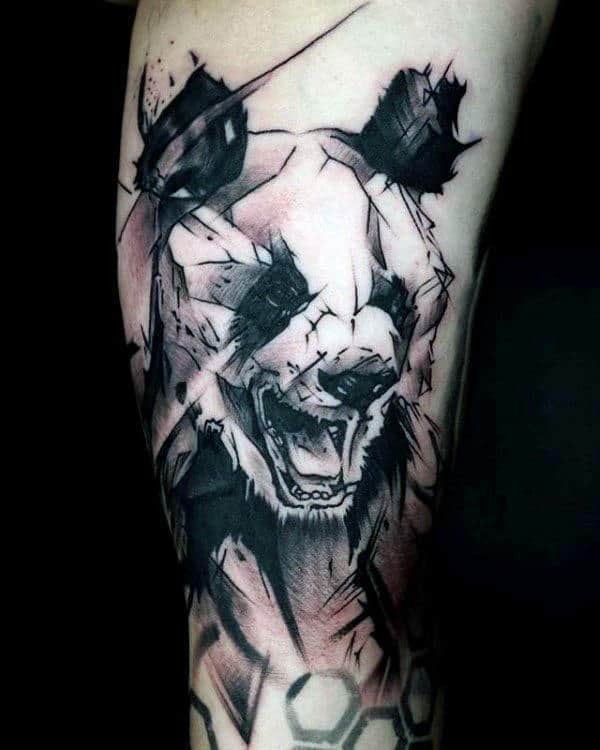 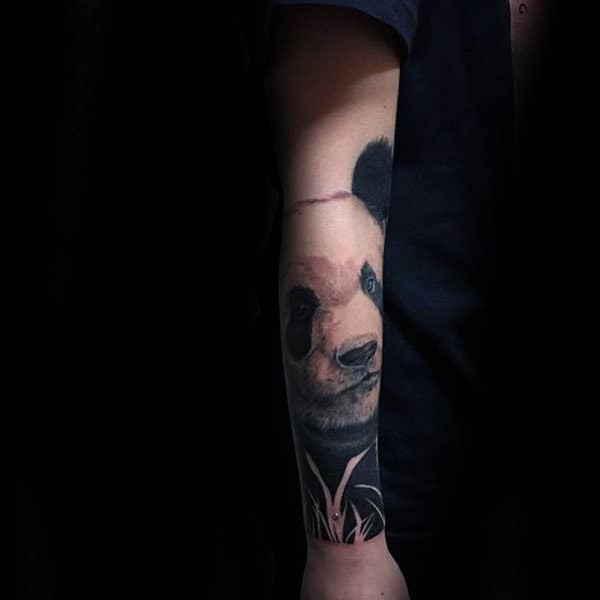 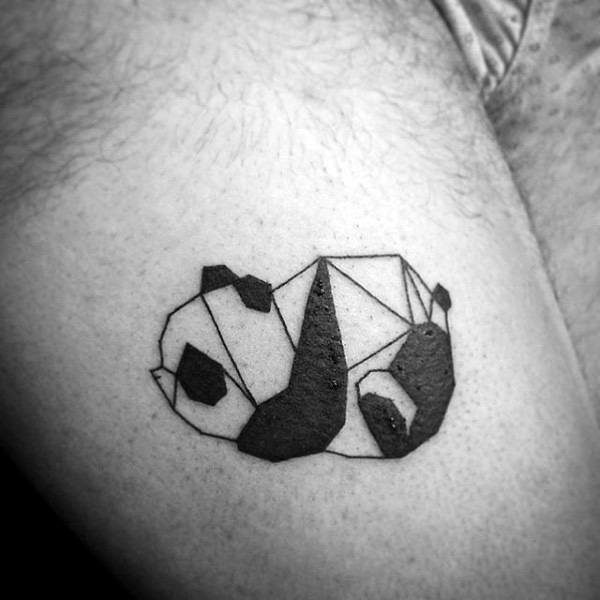 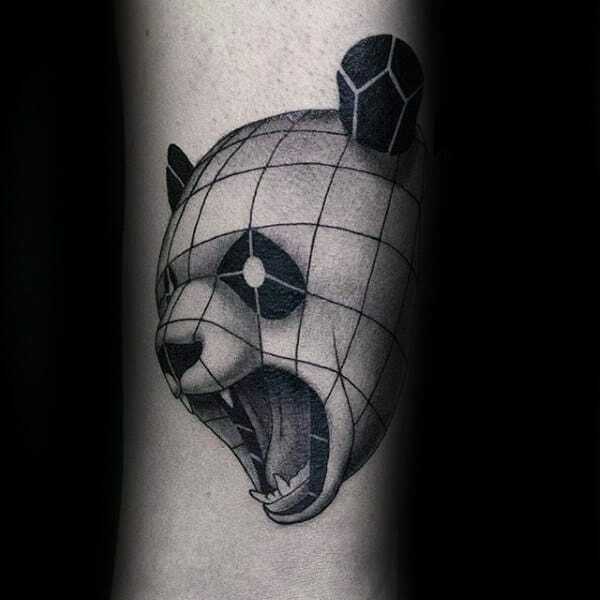 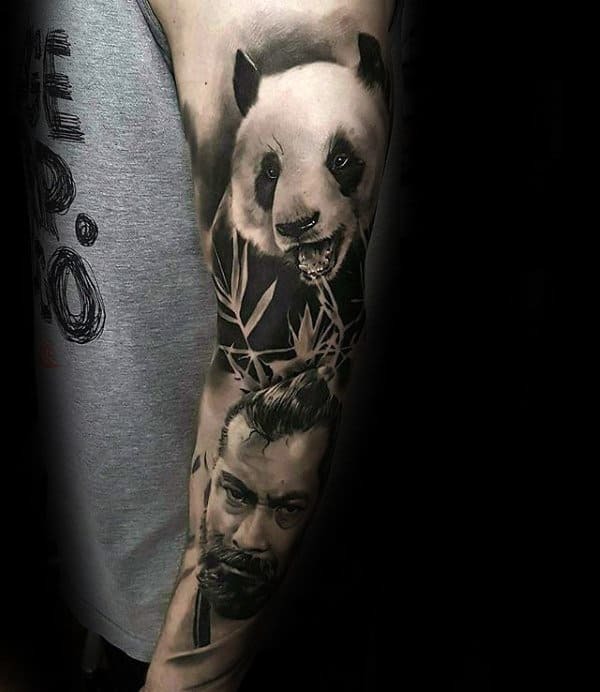 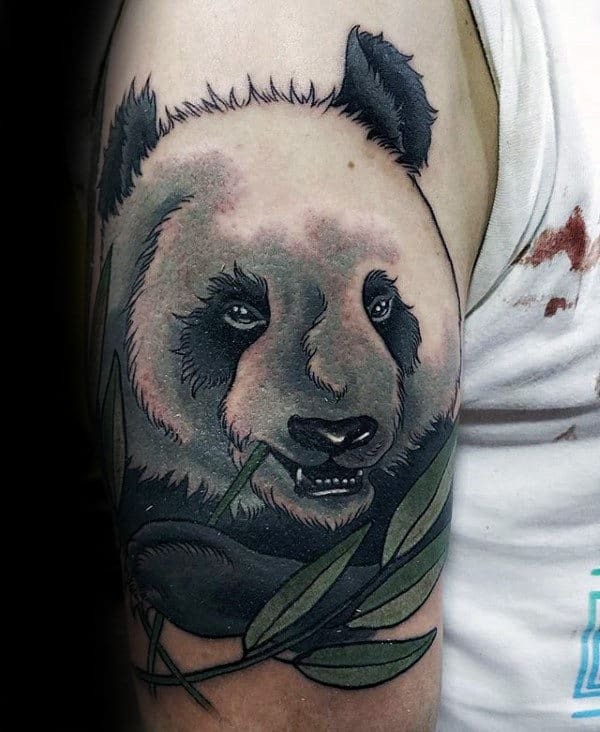 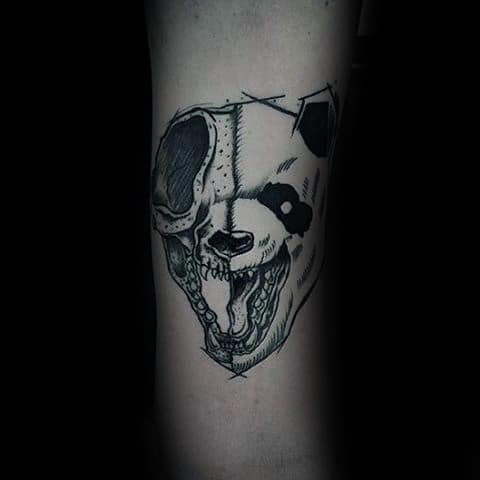 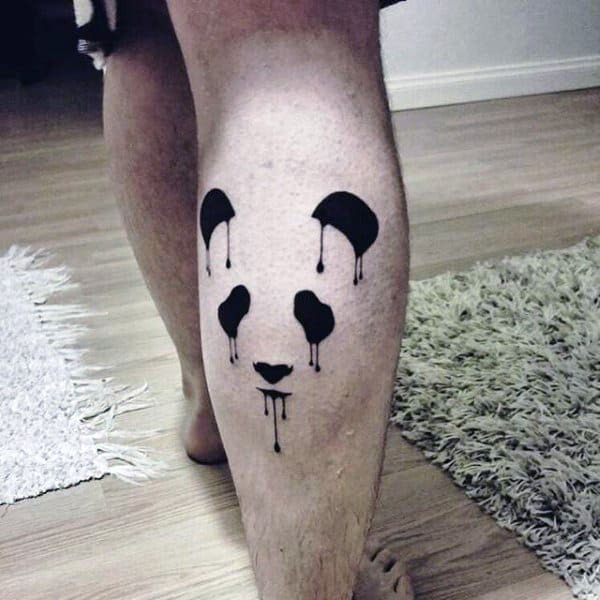 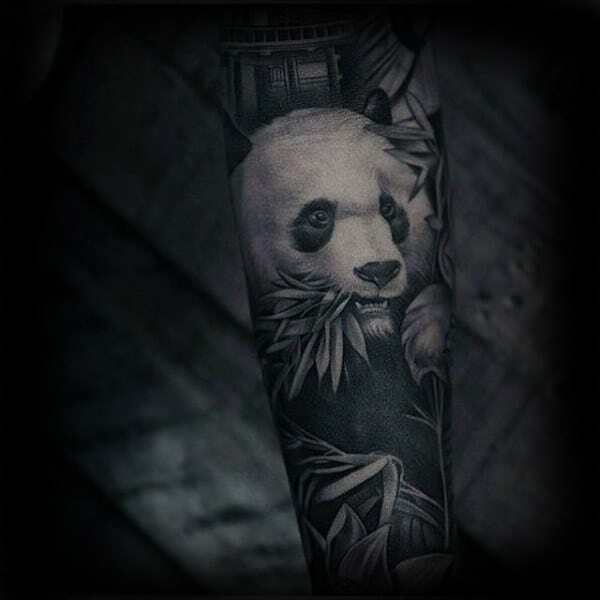 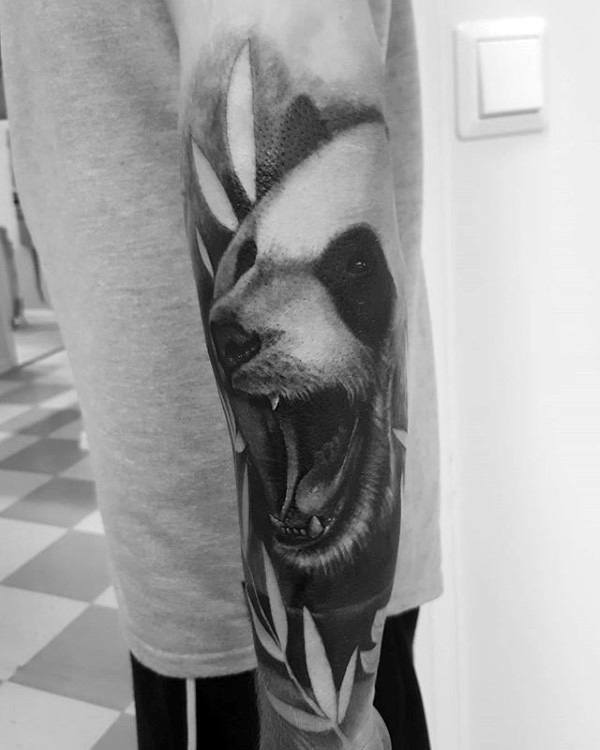 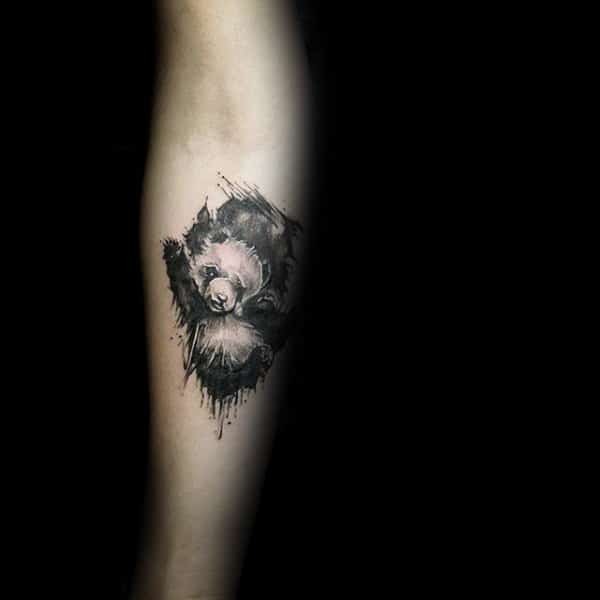 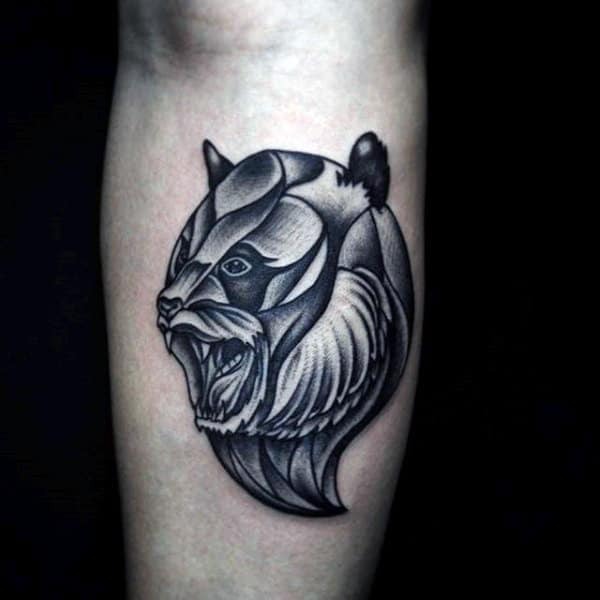 A looming physical presence can be tapered by a panda tattoo, especially since these foreboding giants are defined by an overwhelming theme of gentleness. 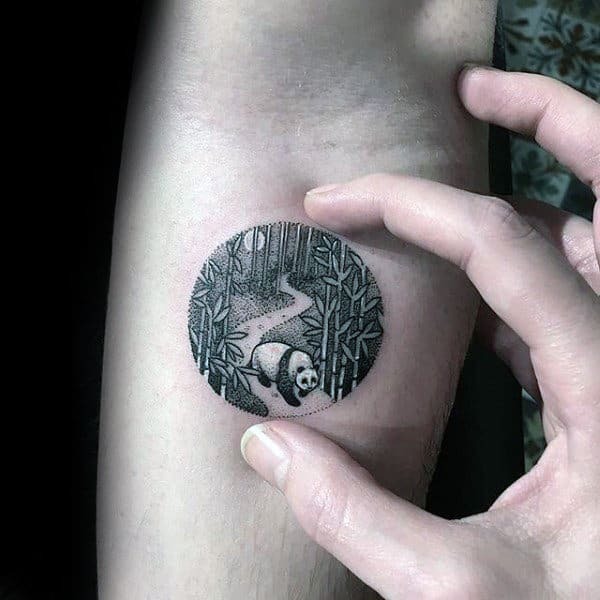 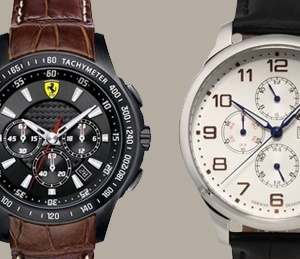 As an added advantage, the black-and-white imprints are easy and affordable to execute. 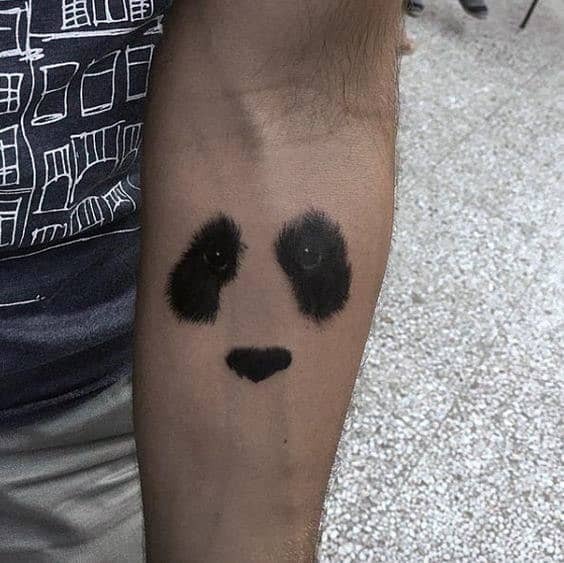 Their spotted countenance is impossible to miss, and it will naturally invite plenty of praise. 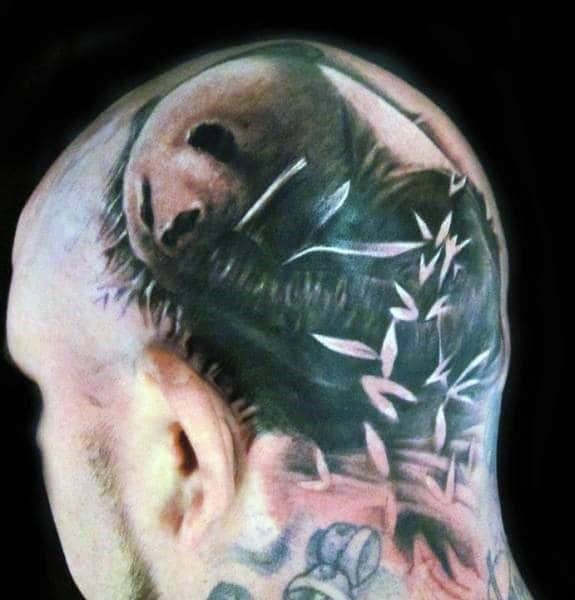 Eastern experts of metaphysics often relate this animal to inner peace, balance and quiescence. 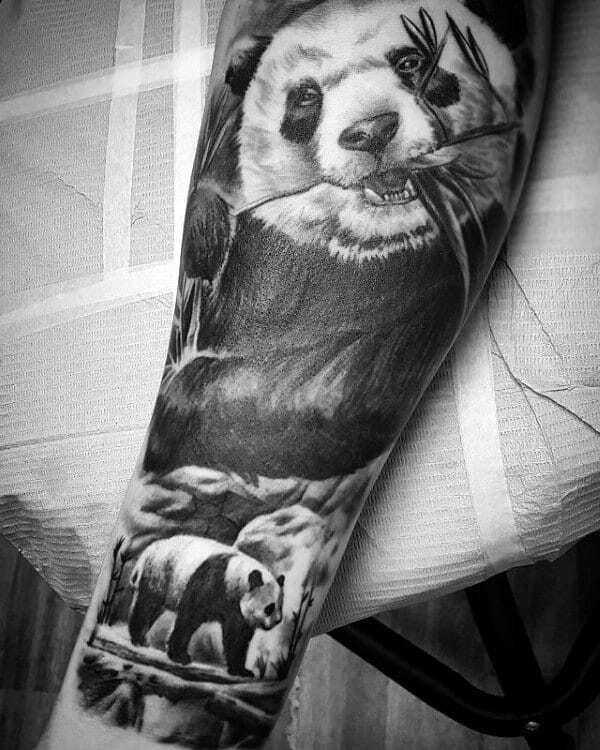 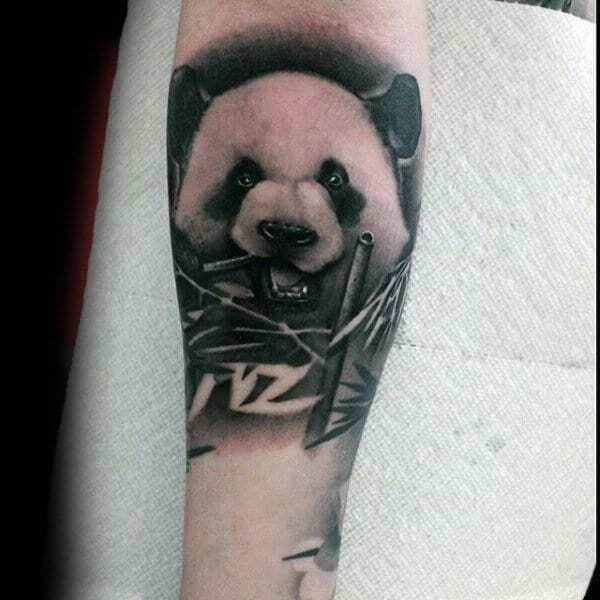 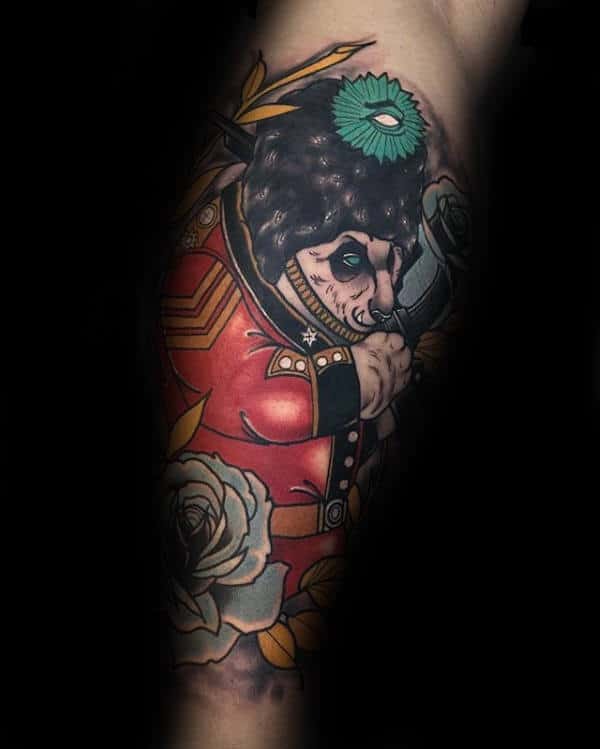 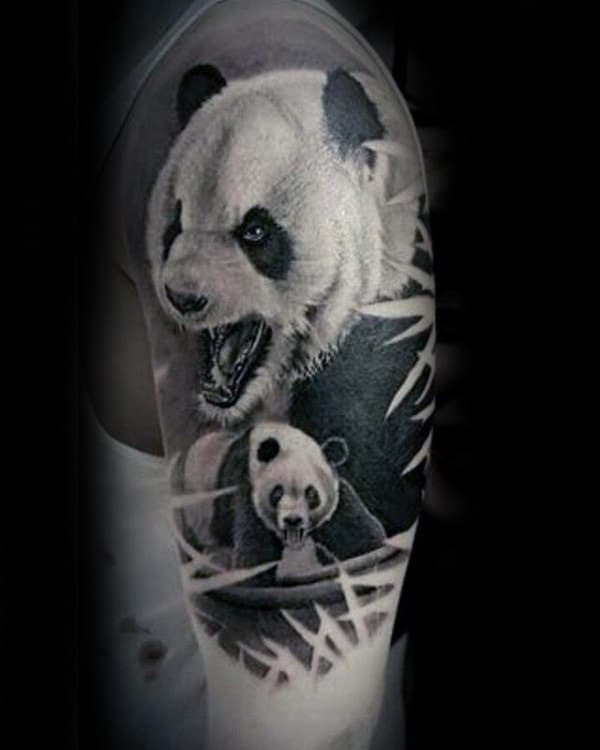 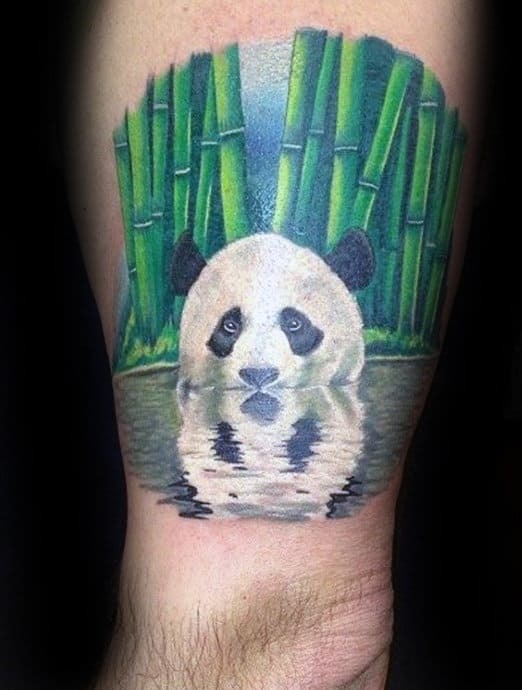 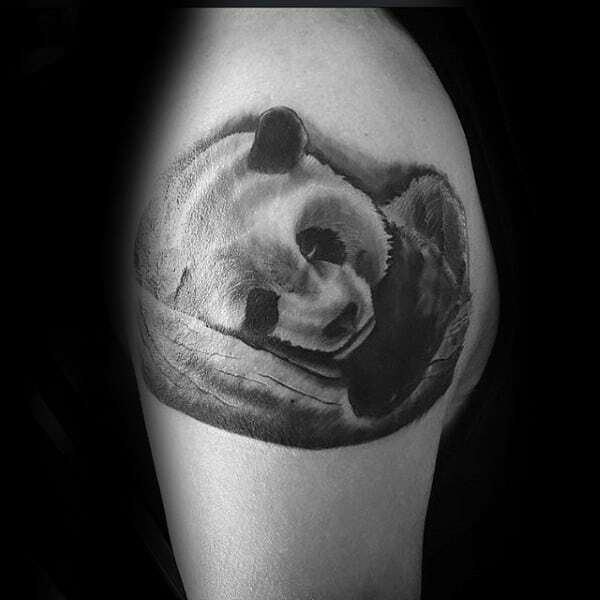 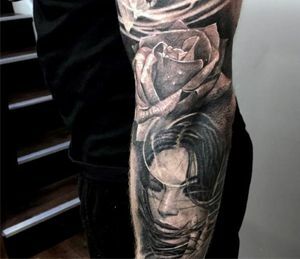 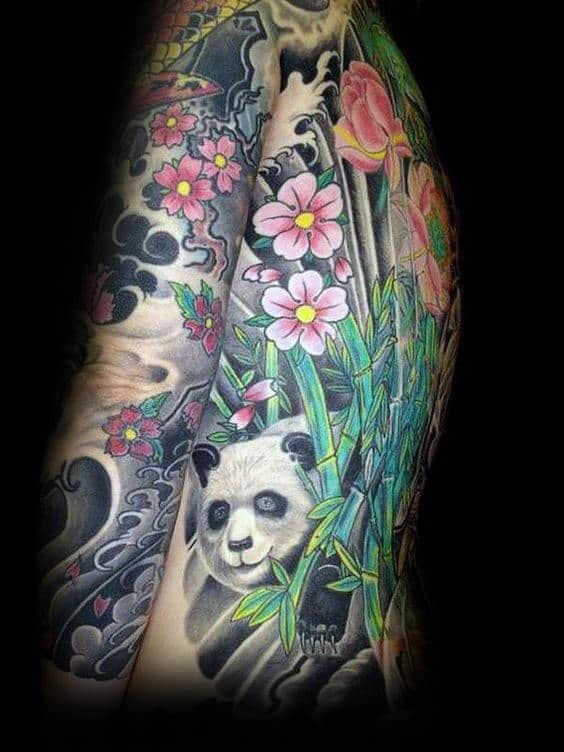 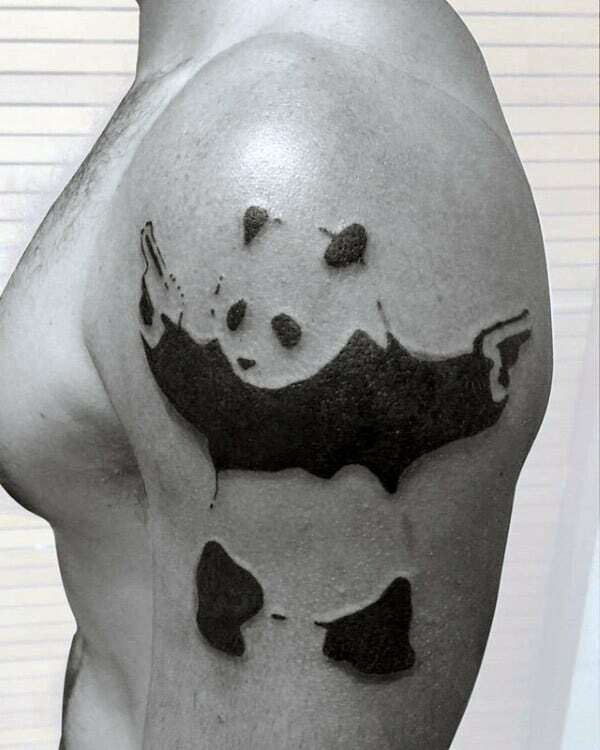 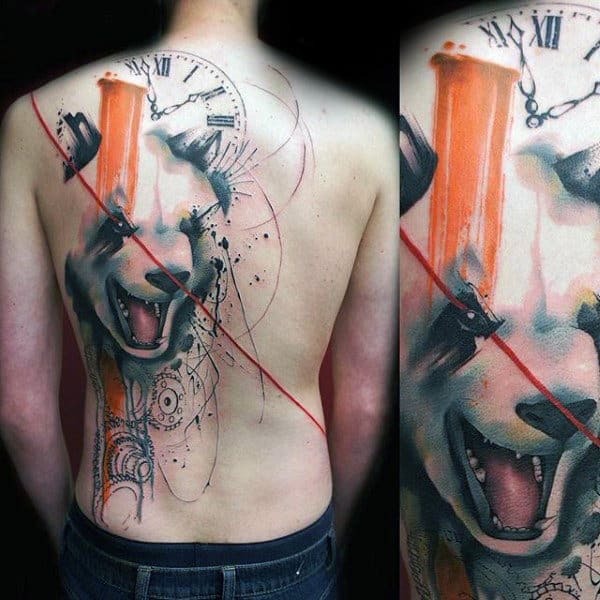 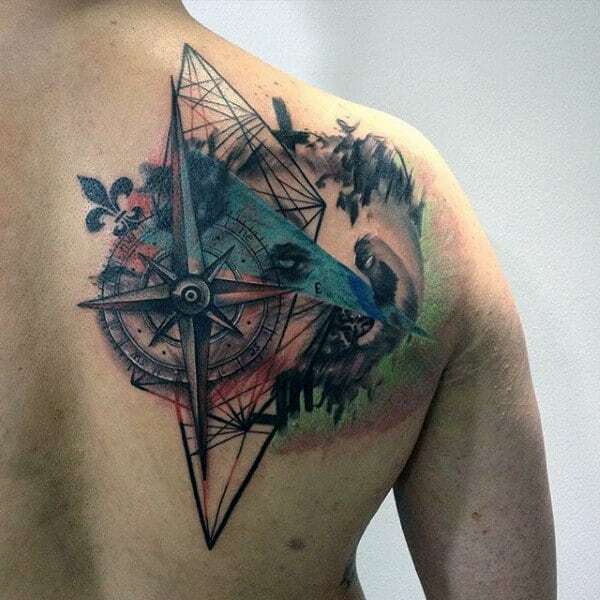 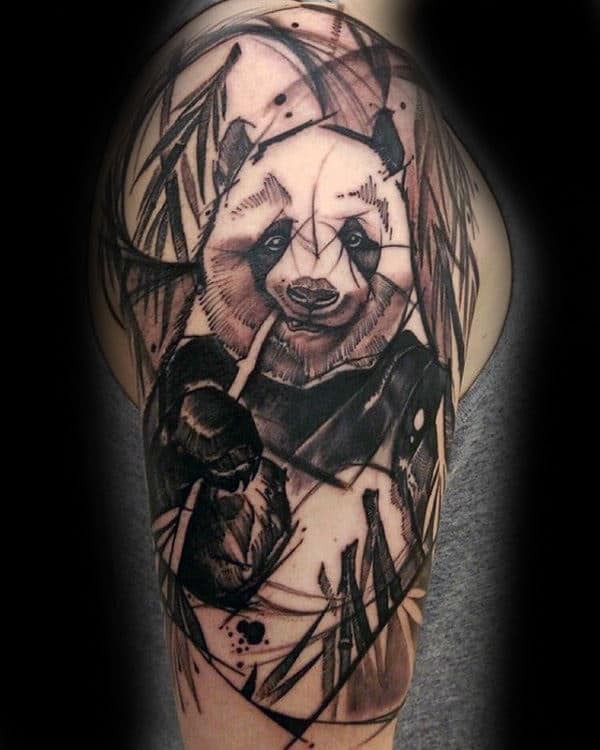 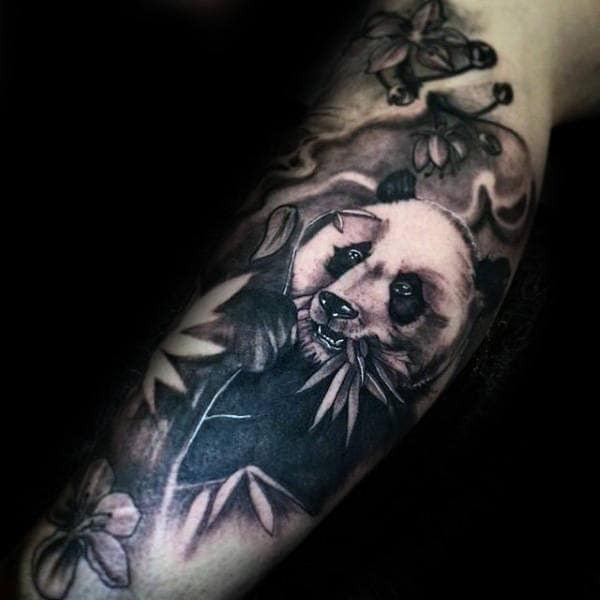 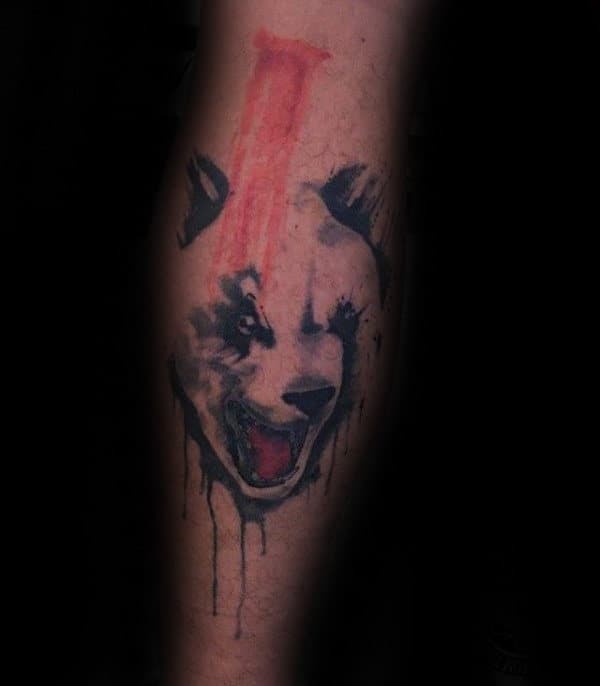 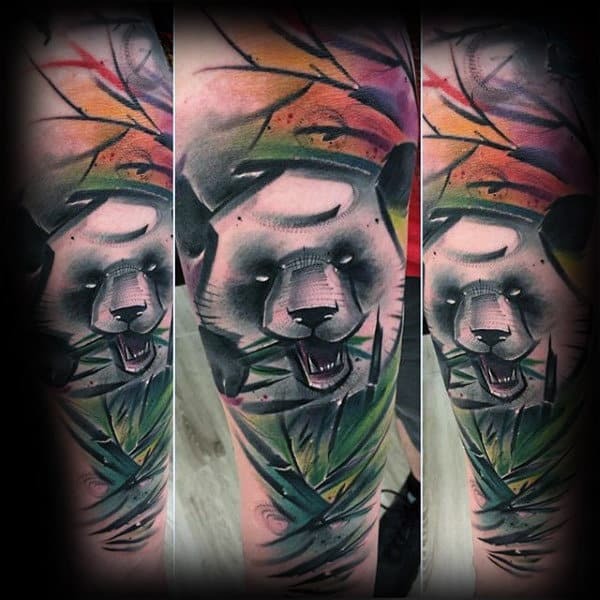 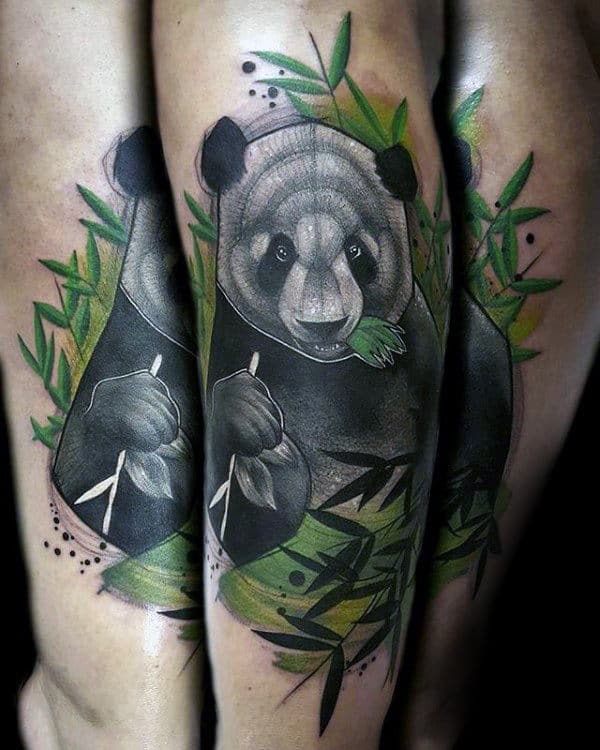 Our virtual bulletin board of panda tattoos will instantaneously inspire your next trip to the artistic world of ink.